Tuesday is usually the pastor’s day off. 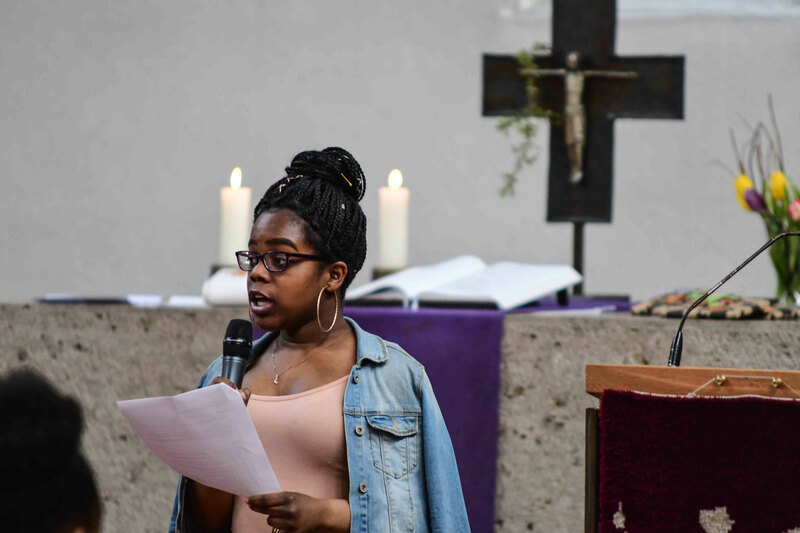 Please help her keep this time free. You can still ring Christine’s mobile 0179 672 6794 or send an e-mail christine@peacechurch.de. Pastor Christine will pick up the message as soon as possible. 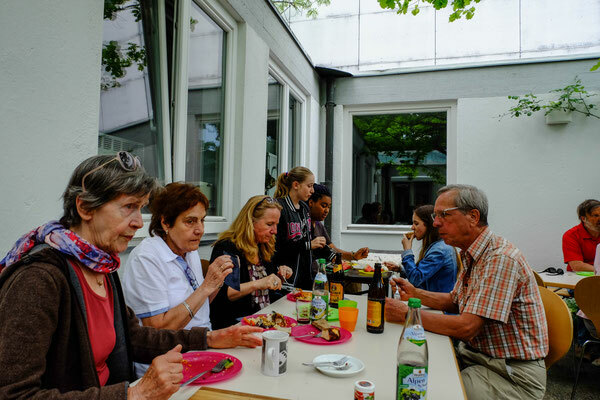 Have a cup of coffee and piece of cake or pizza with Cathy, Greta and Albrecht. 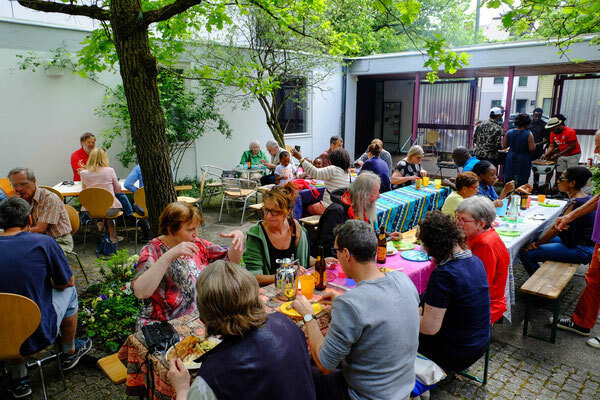 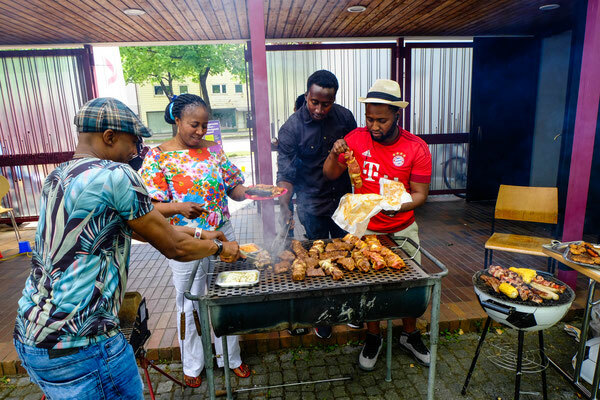 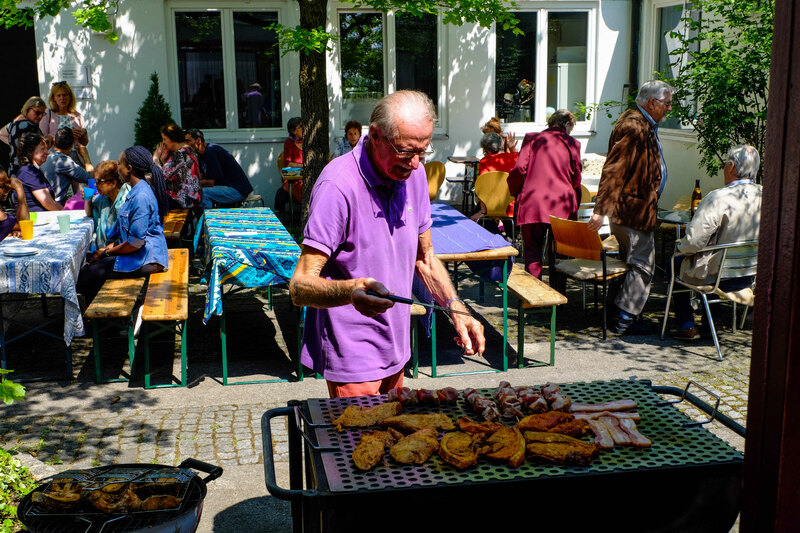 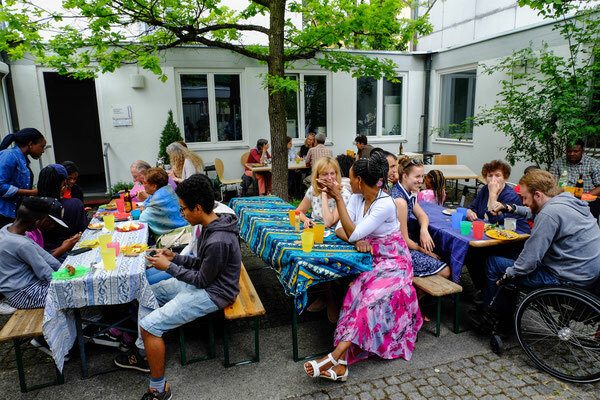 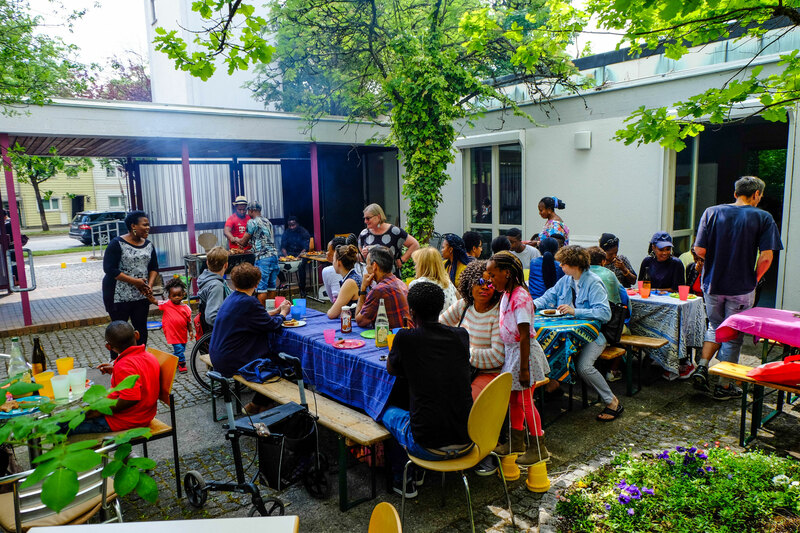 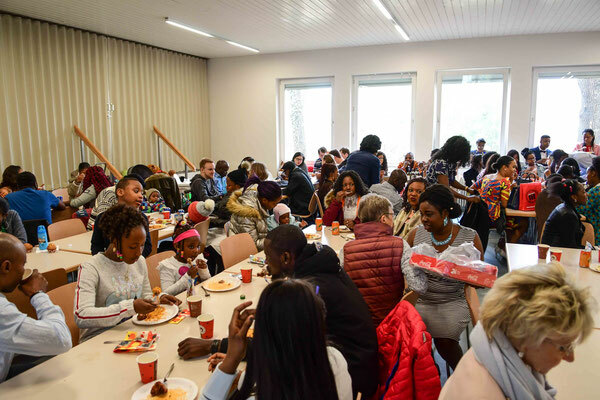 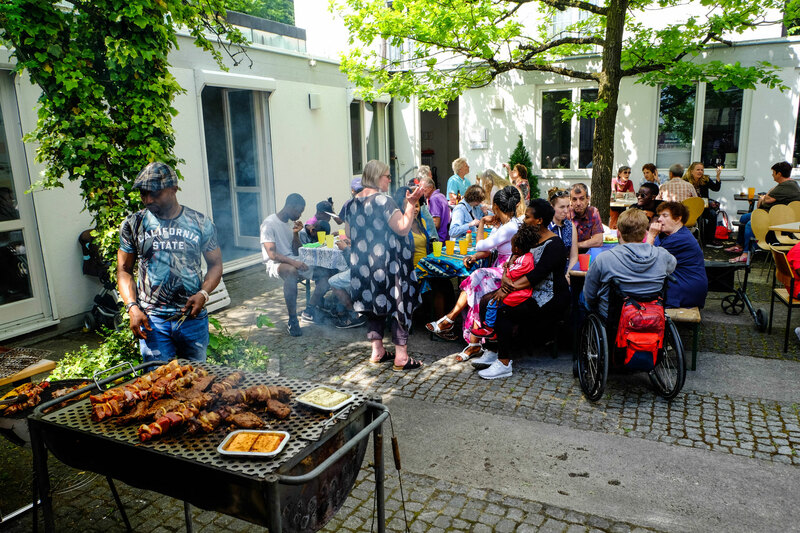 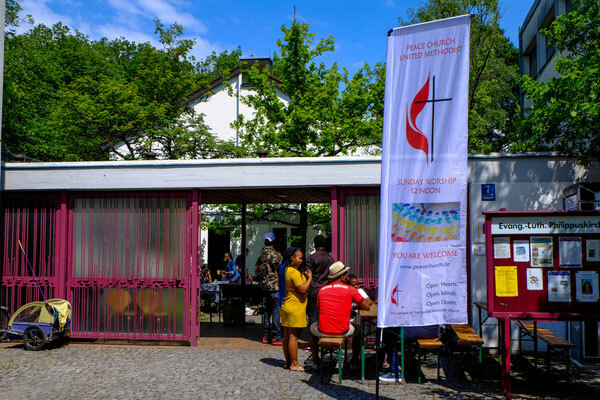 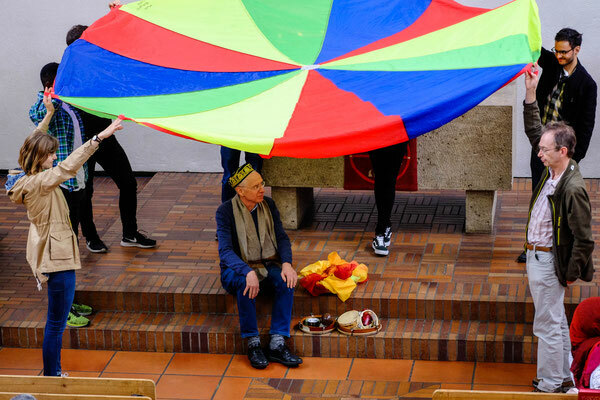 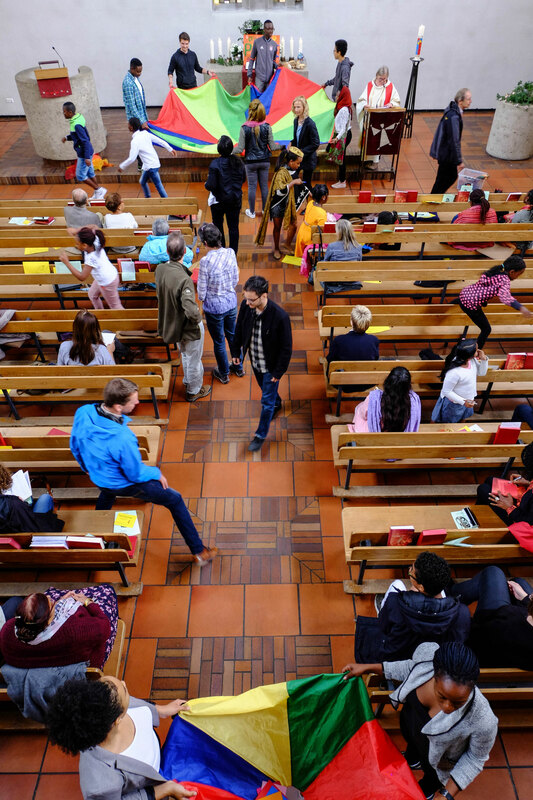 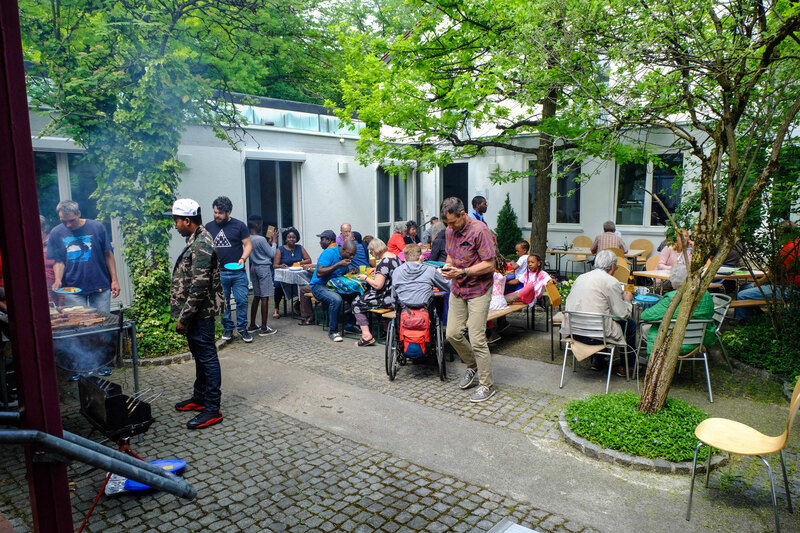 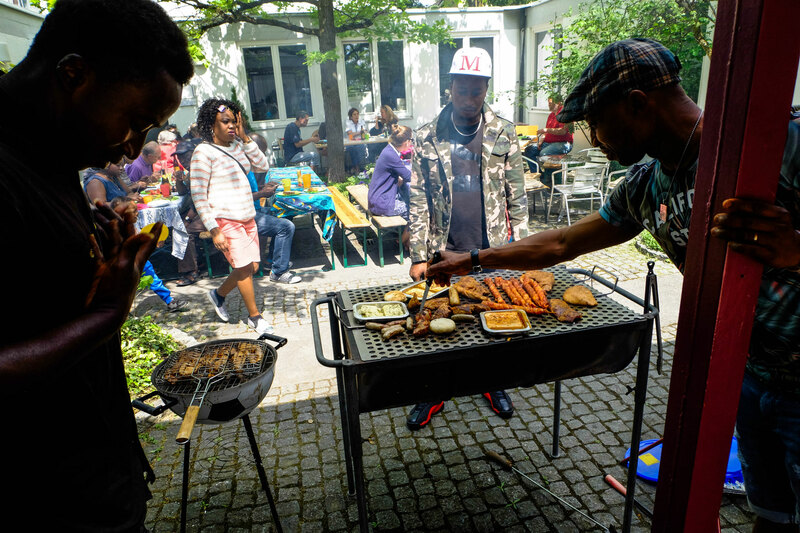 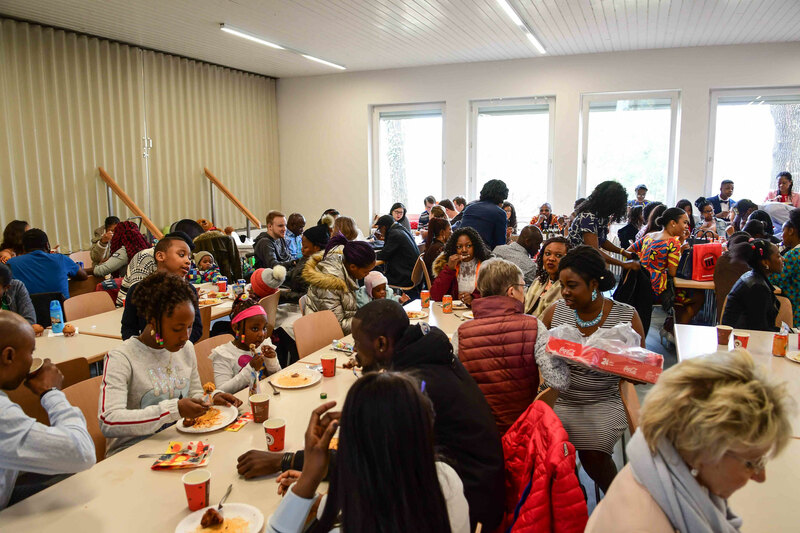 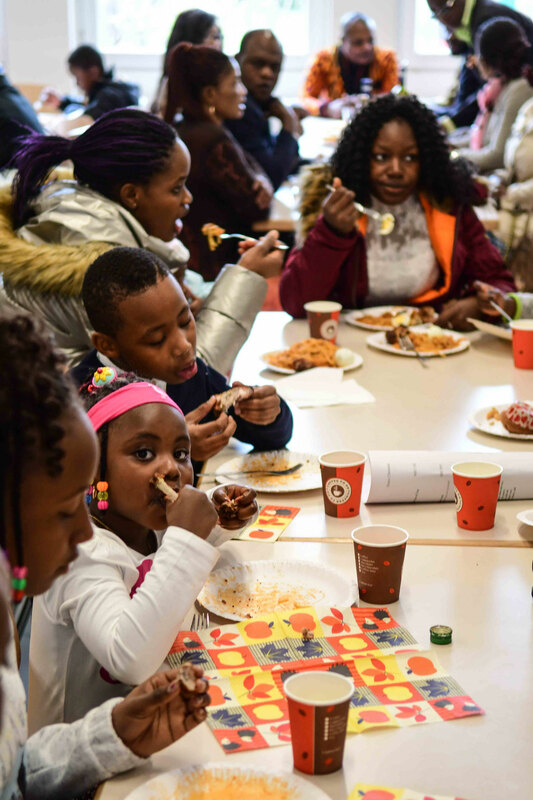 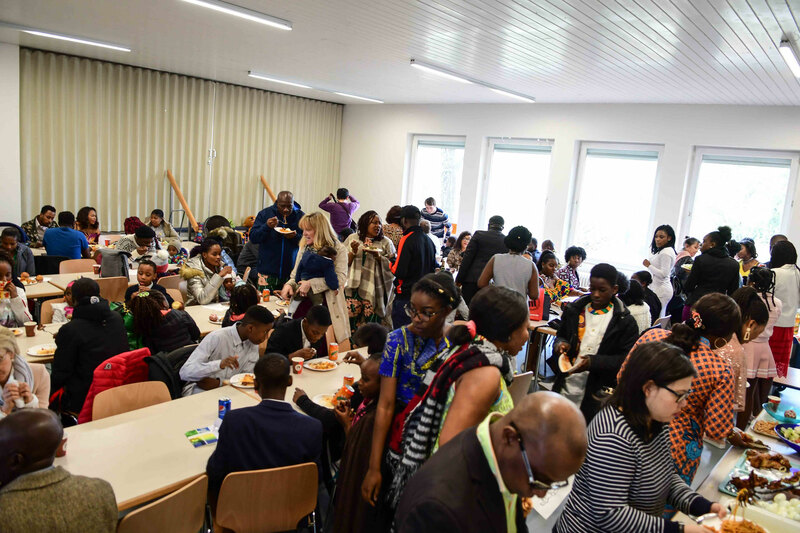 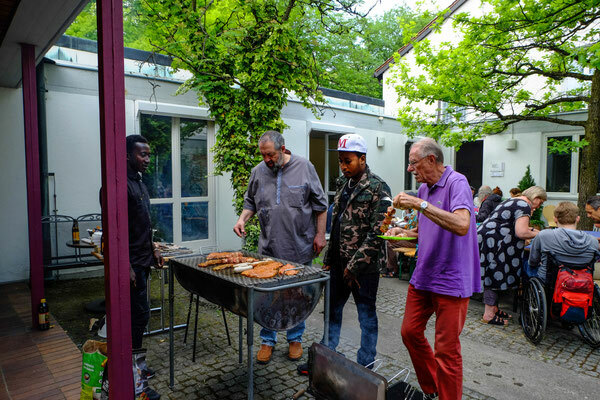 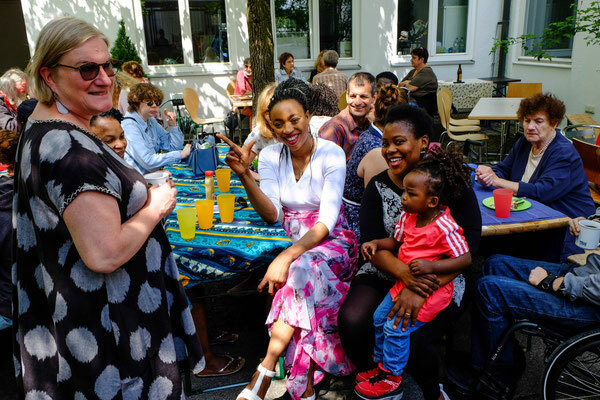 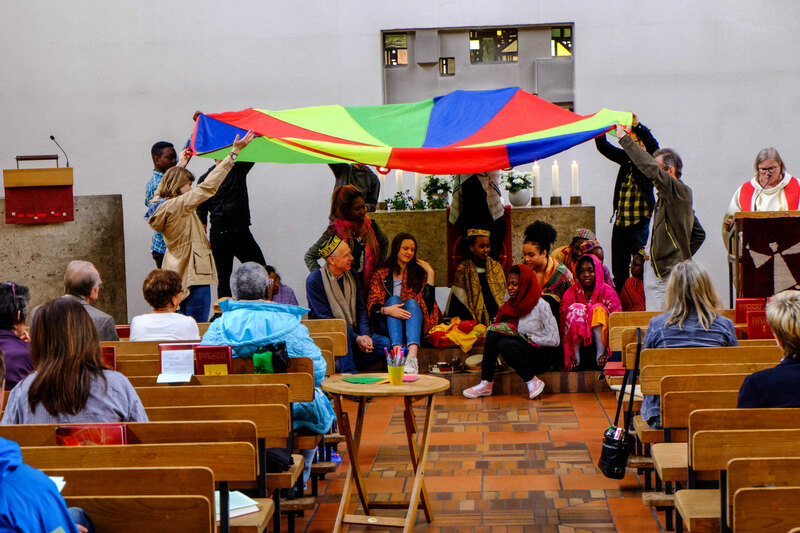 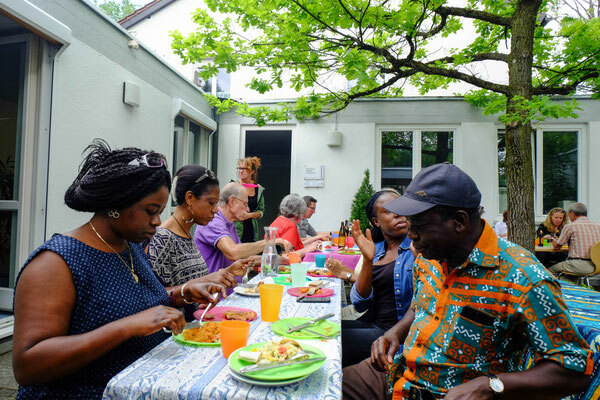 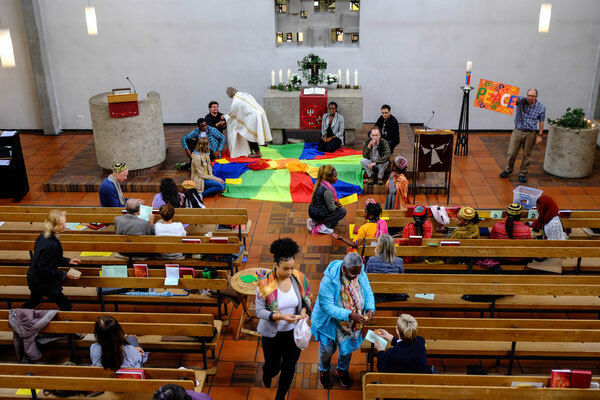 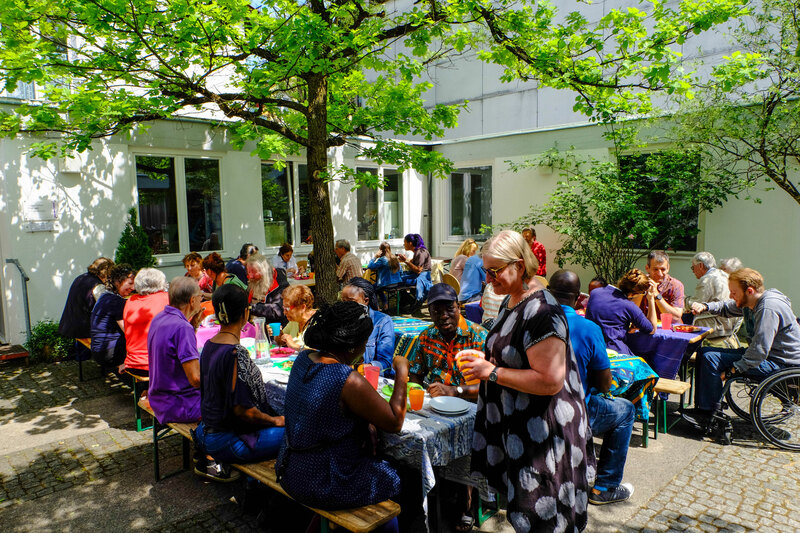 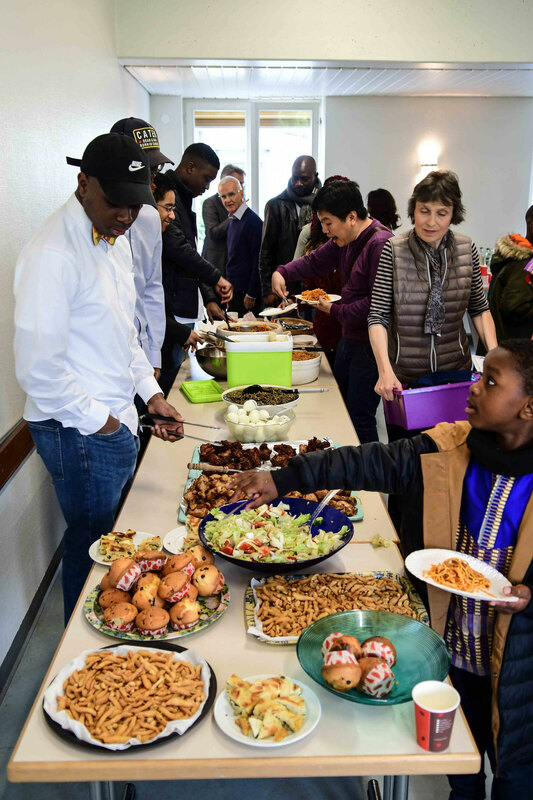 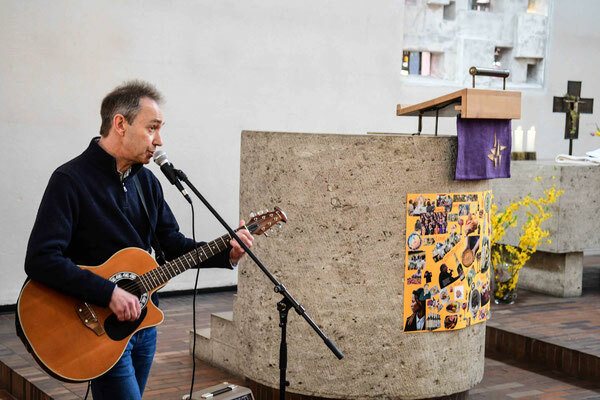 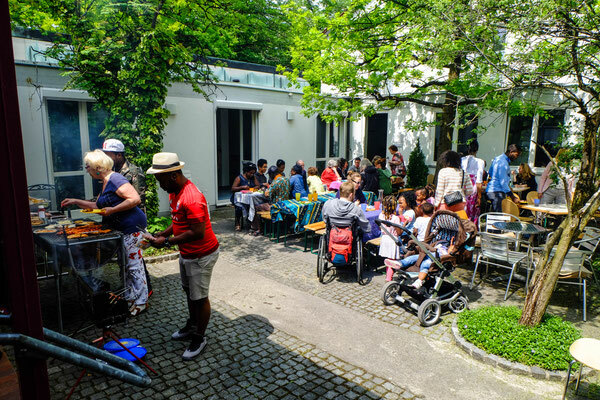 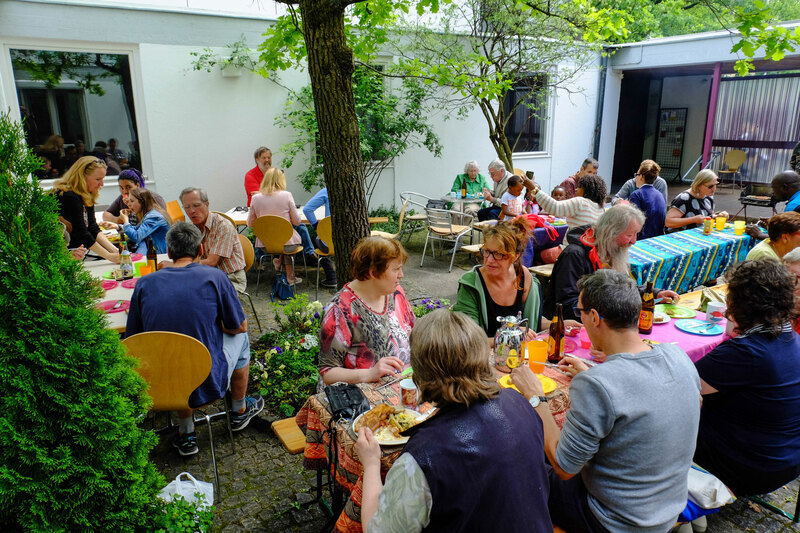 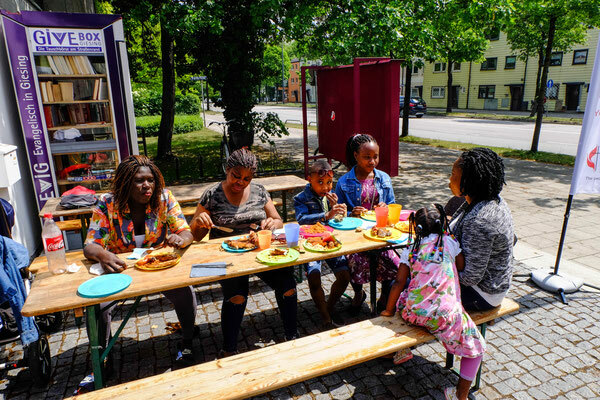 Meet the people who come to the Philippuskirche food bank, the Münchner Tafel, and experience a very special Monday community. 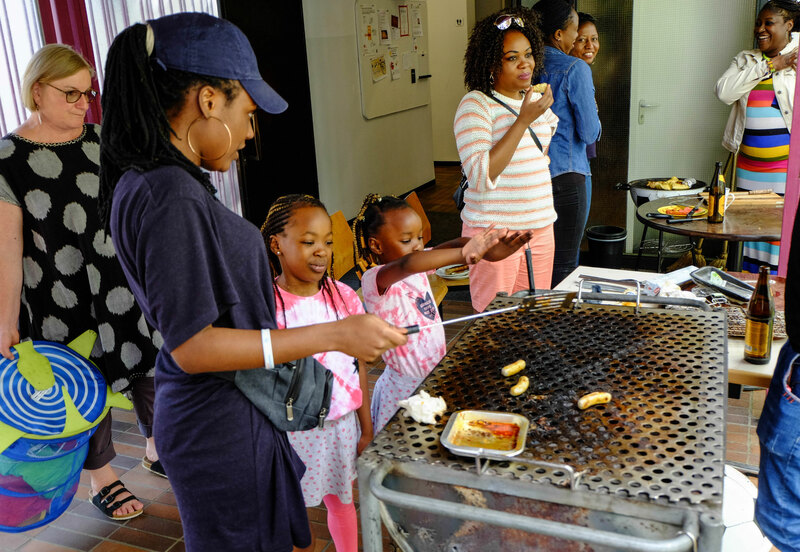 Bring along your baby or toddler, and chat with other moms and let the children play together. Also bring along letters and needs you have for dealing with German bureaucracy. Every Monday from 1:00 to 4:30 pm. All welcome! 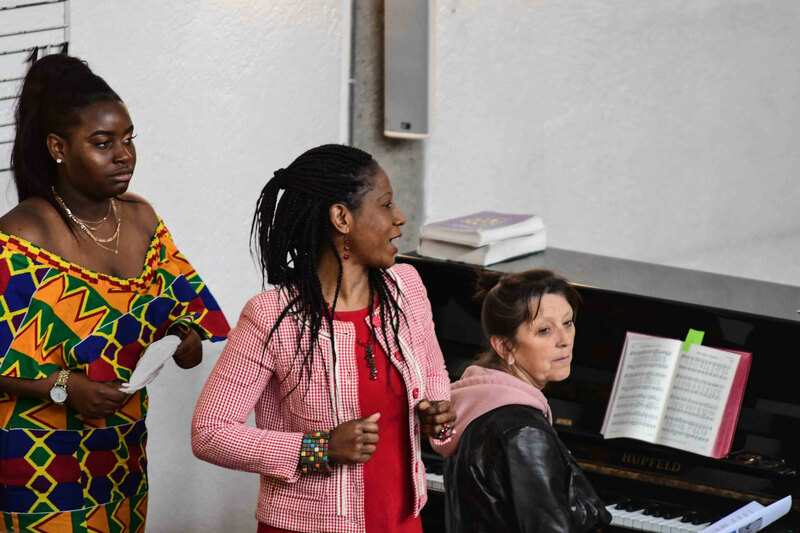 There is a music group meeting on Friday evenings. 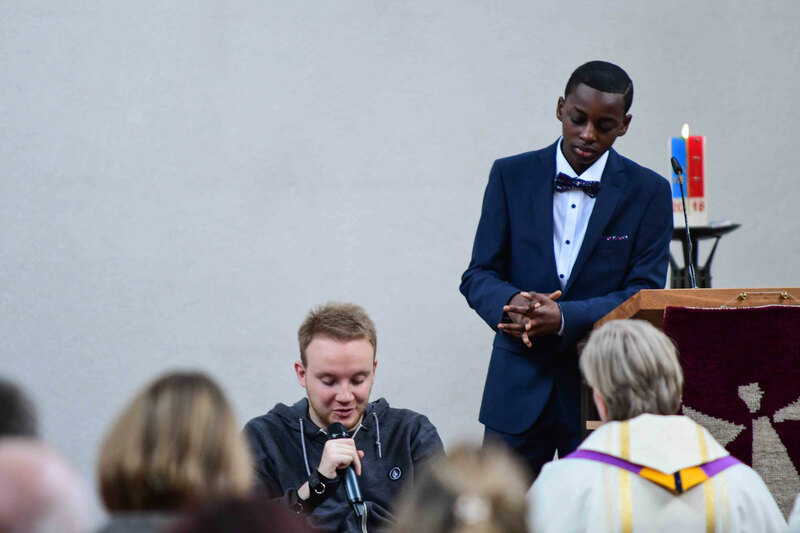 If you are interested talk to Katie or Phil Gill or Graham Williams. We are looking for musicians playing drums (or any other instrument). You are welcome! 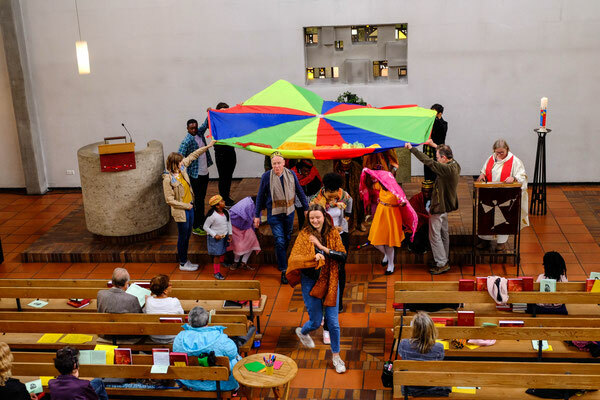 …in Kundl, Austria is from 22 to 27 April 2019. 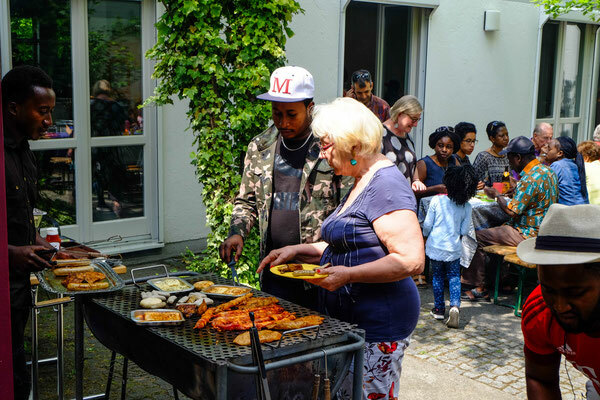 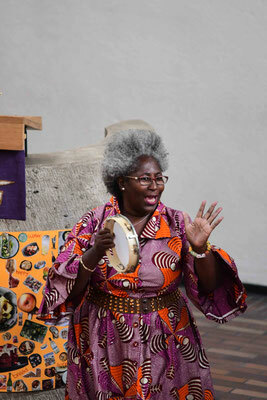 ... takes place monthly at Rahel Pereira’s house. 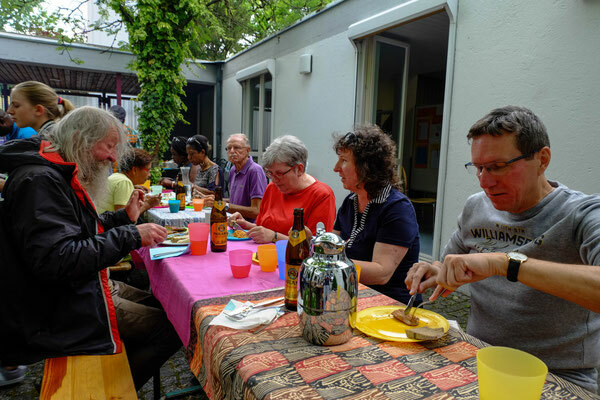 The next meeting will be on Thursday 9 May at 7pm. The group is reading a book called “Just a Sister Away”. 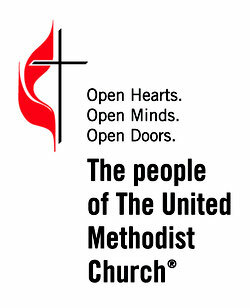 Copies of the book will be there at the meeting. 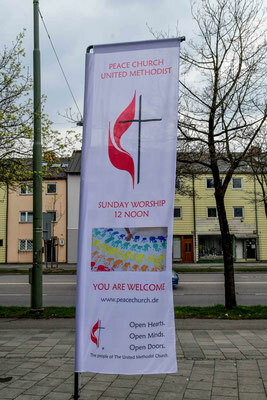 All women welcome. 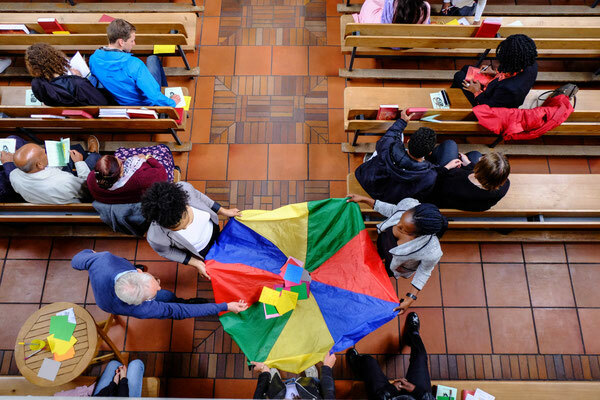 Contact Pastor Christine for more information. 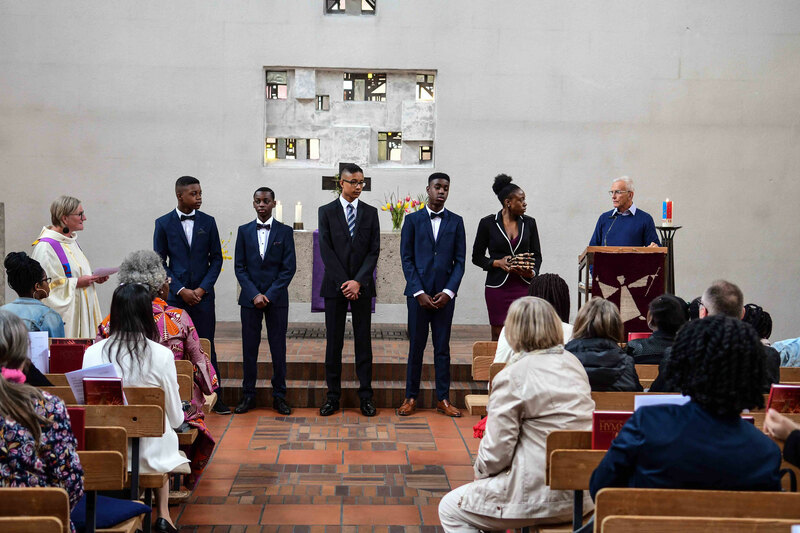 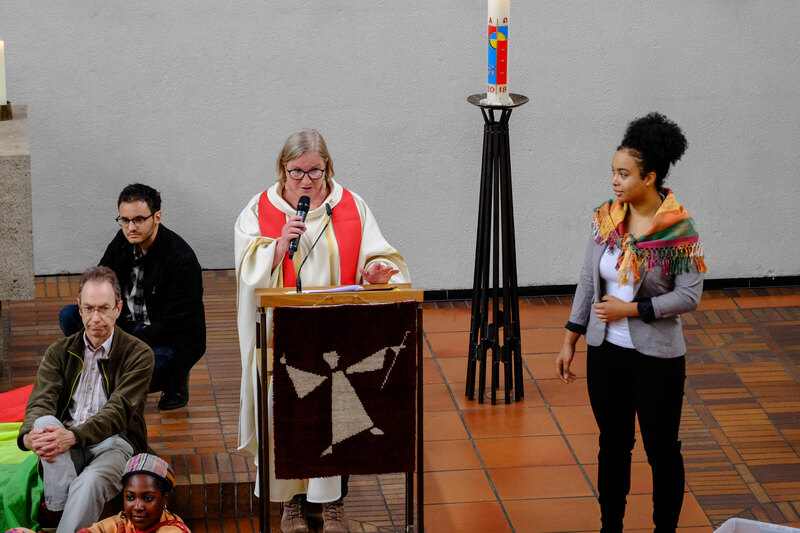 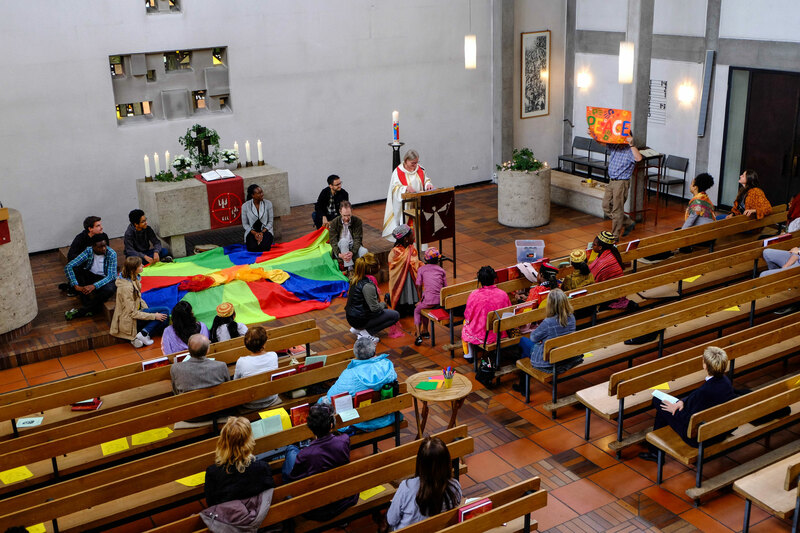 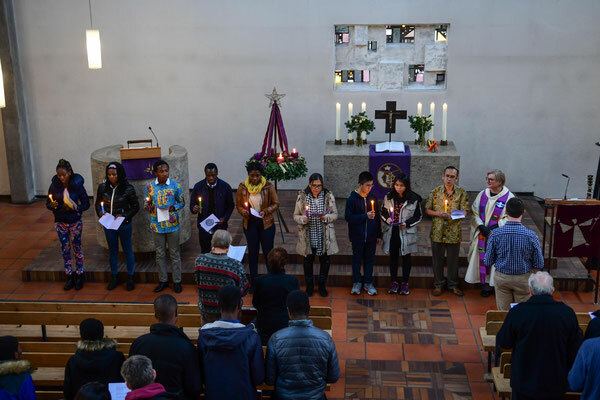 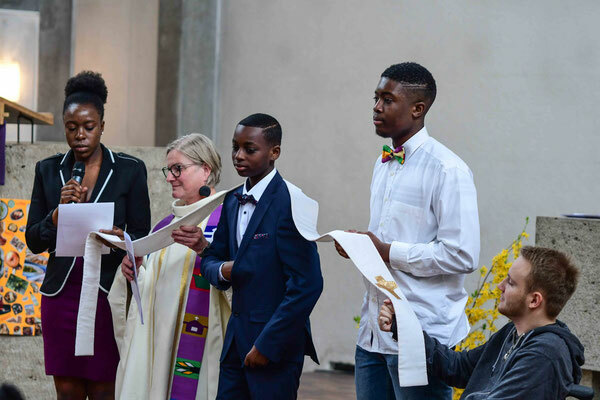 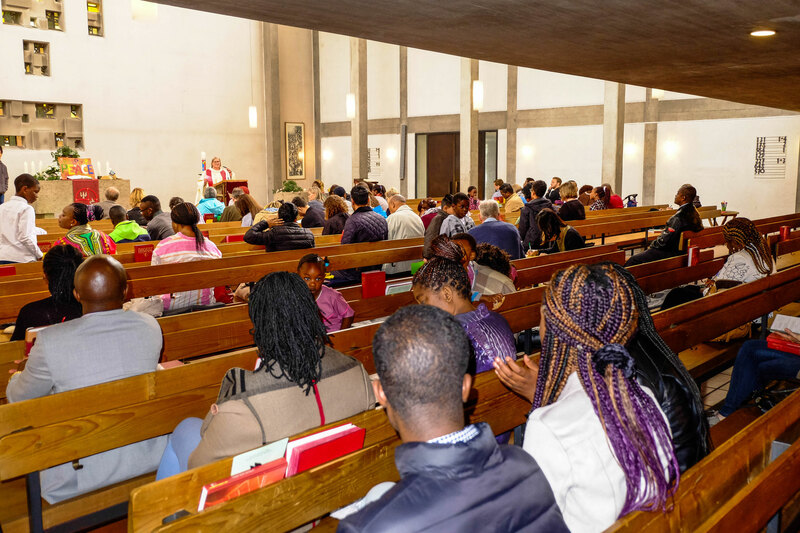 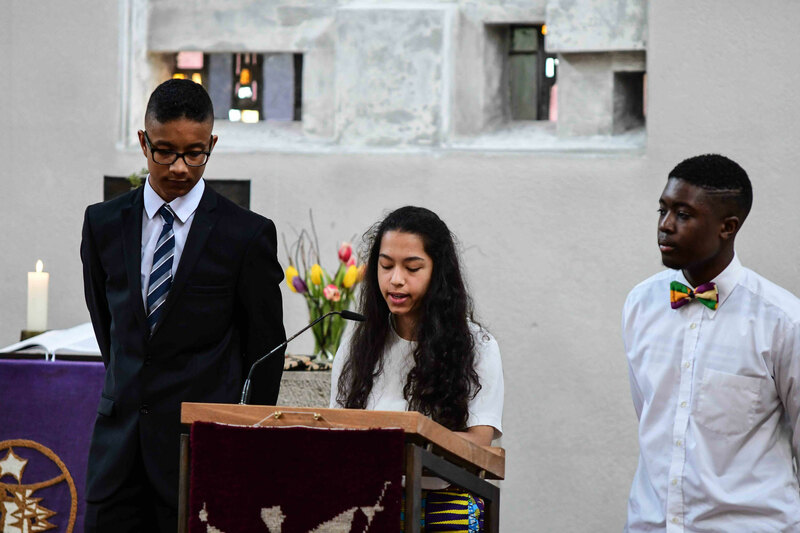 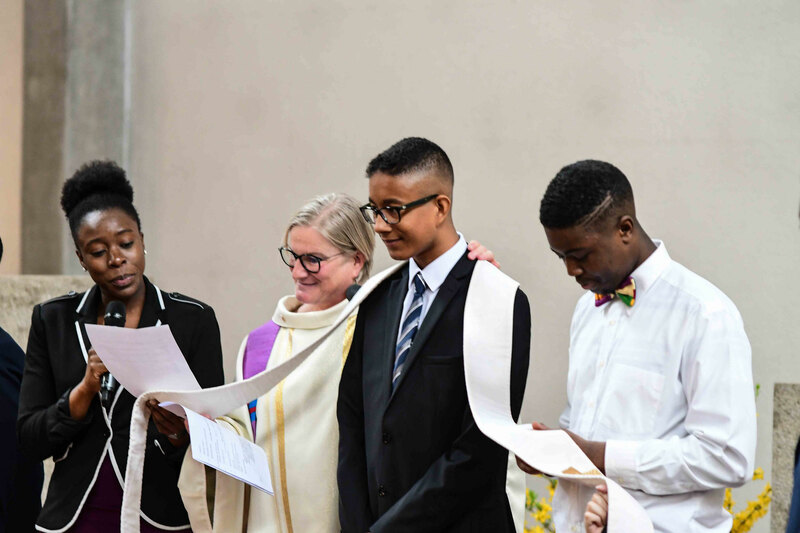 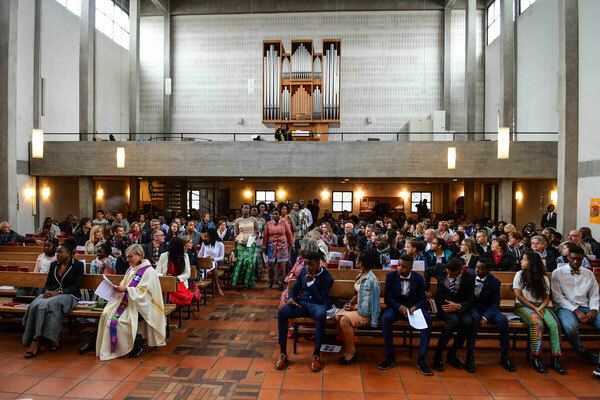 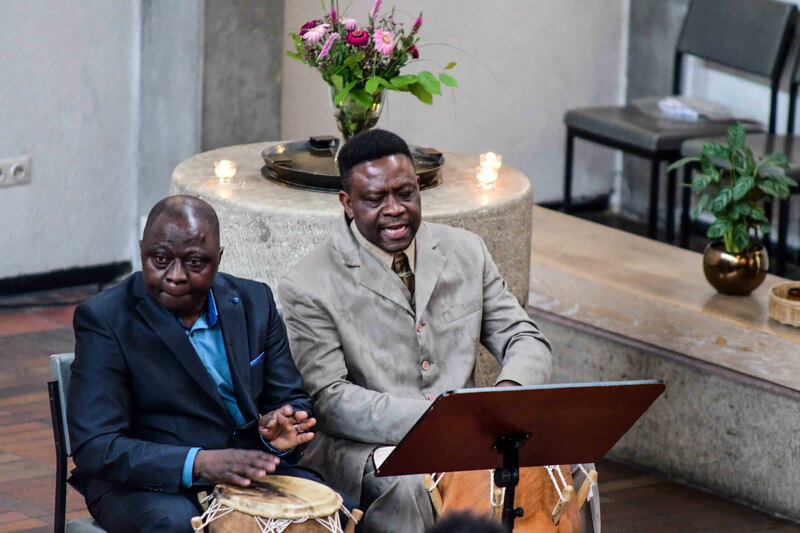 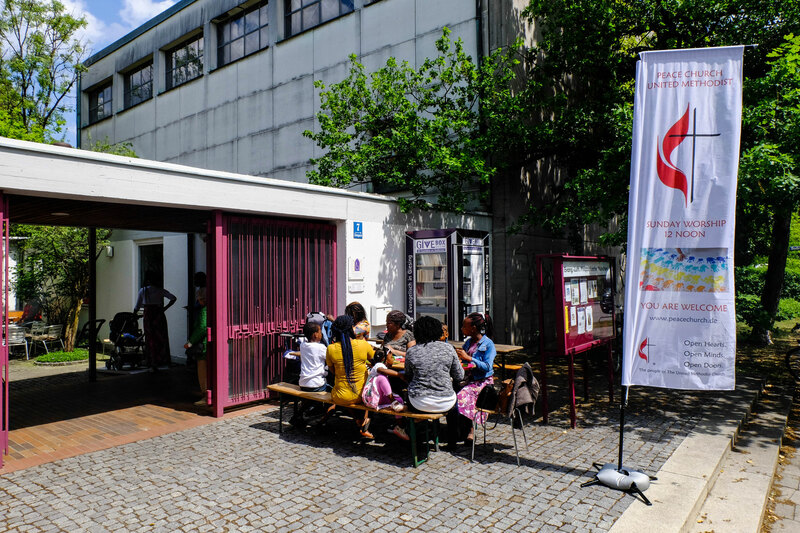 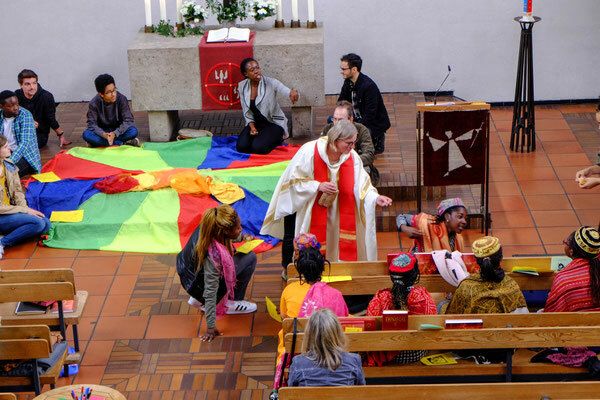 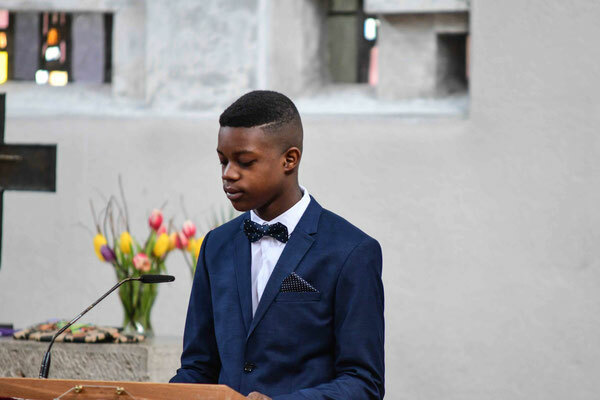 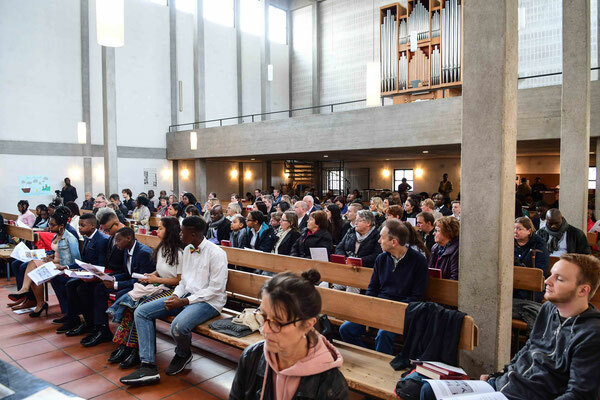 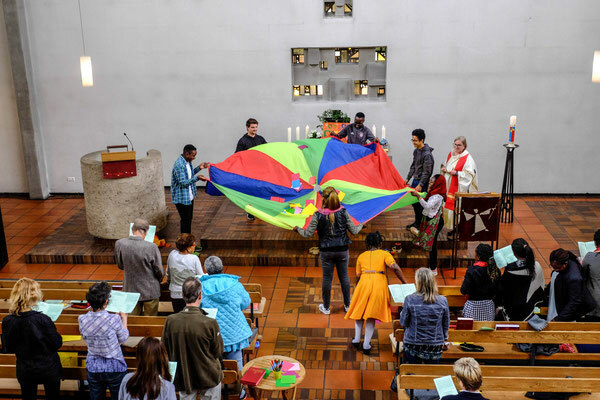 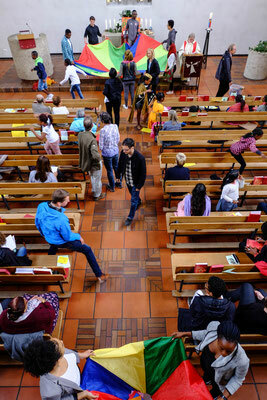 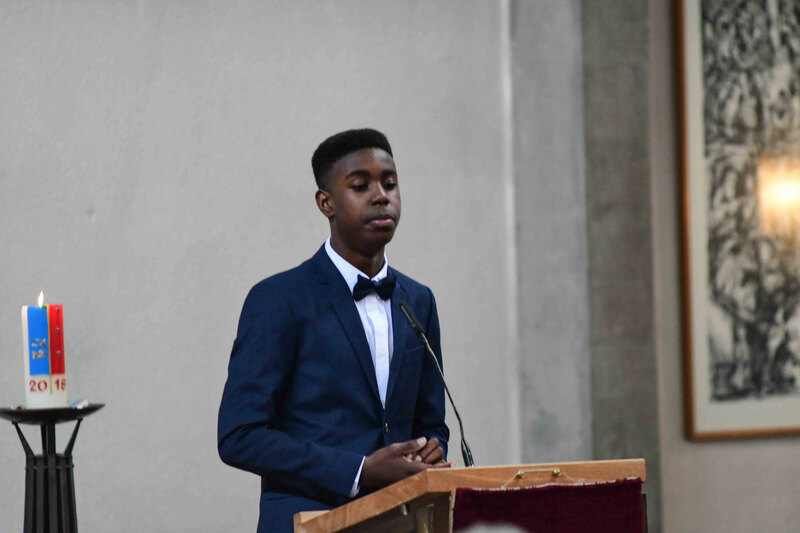 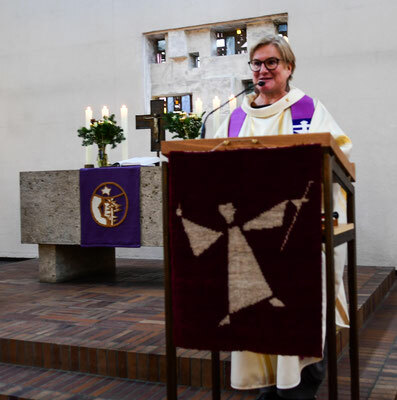 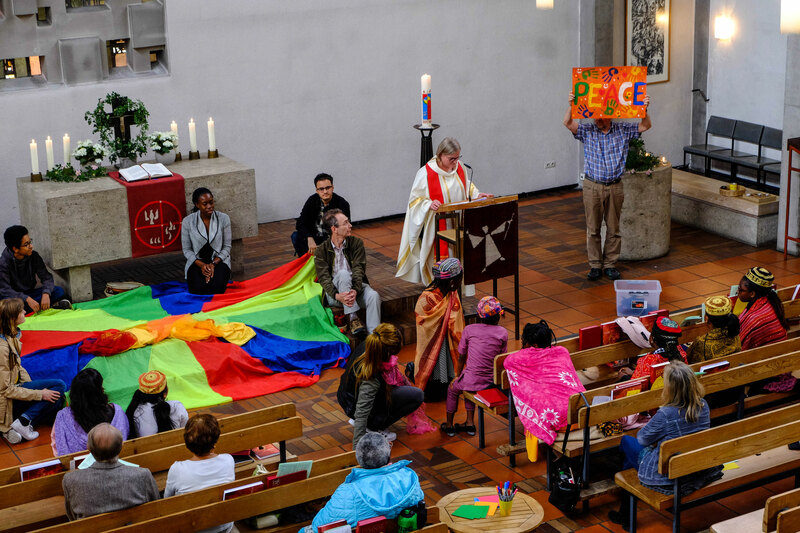 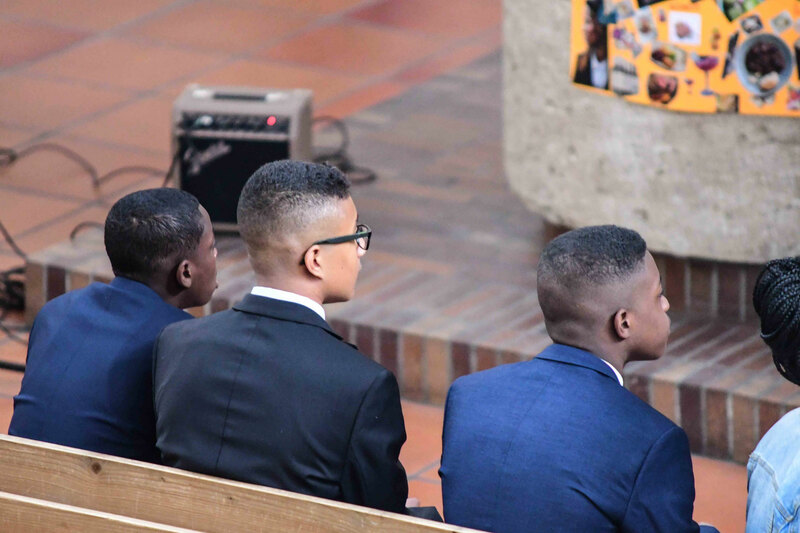 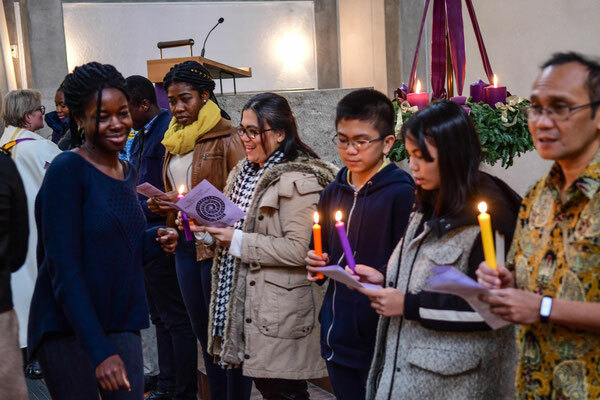 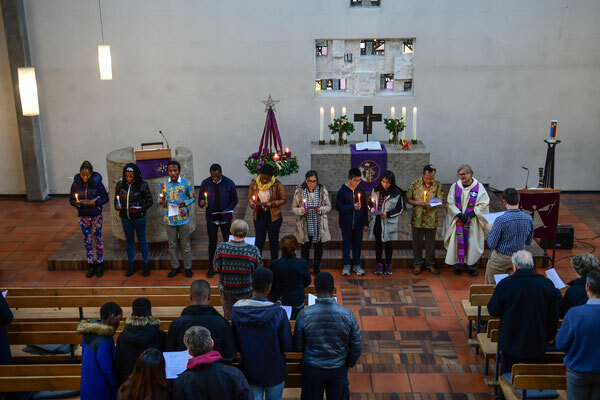 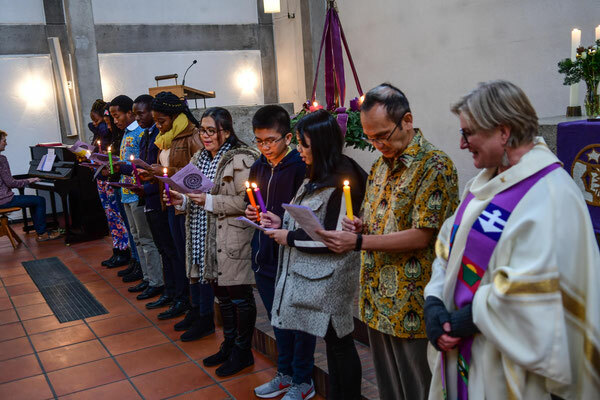 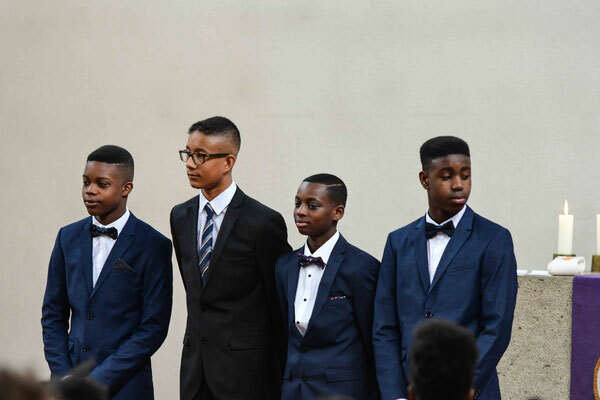 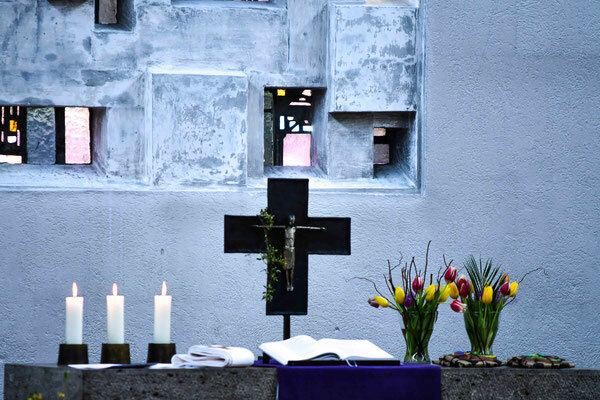 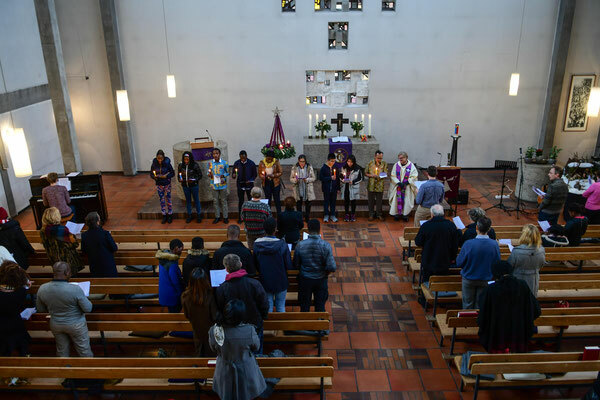 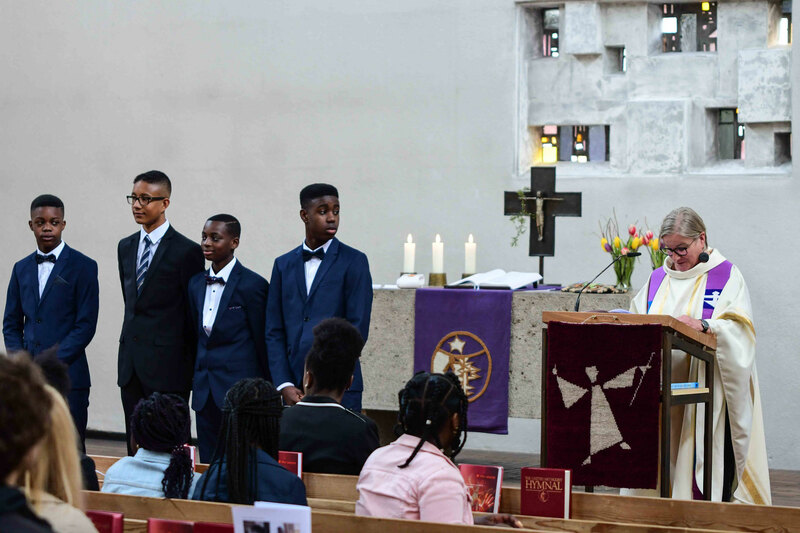 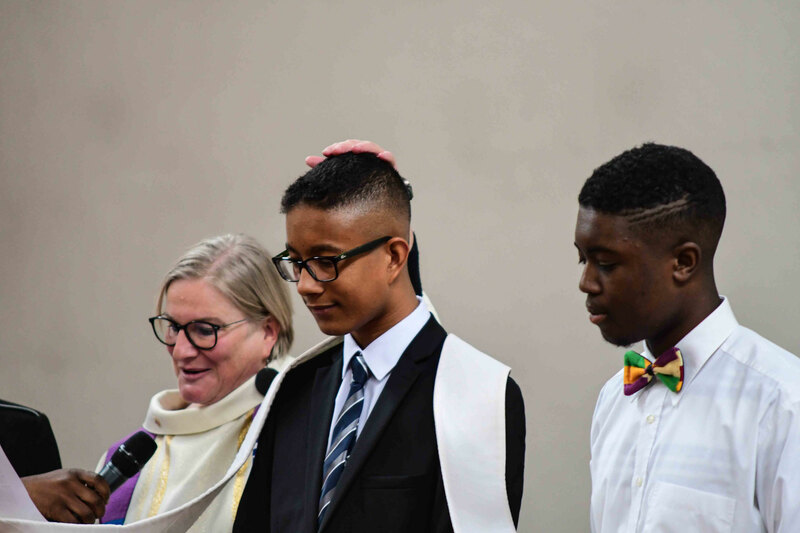 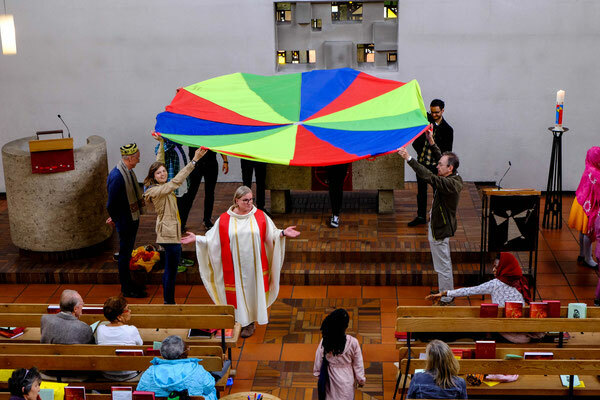 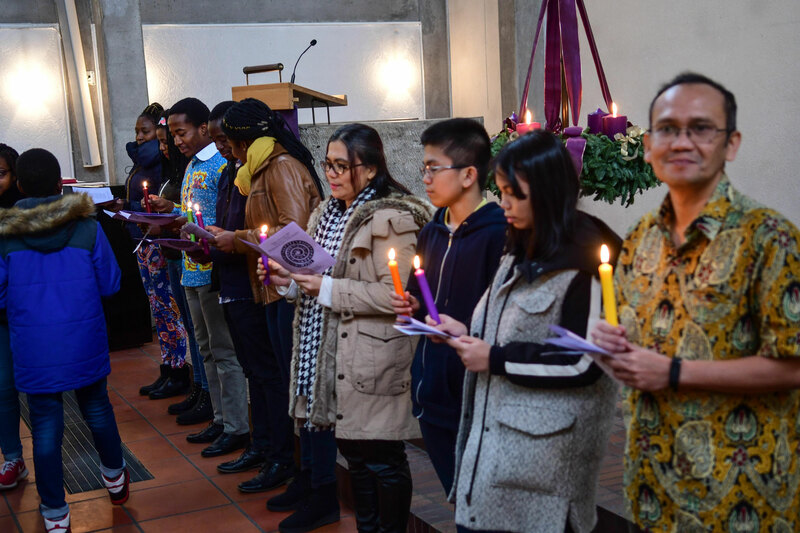 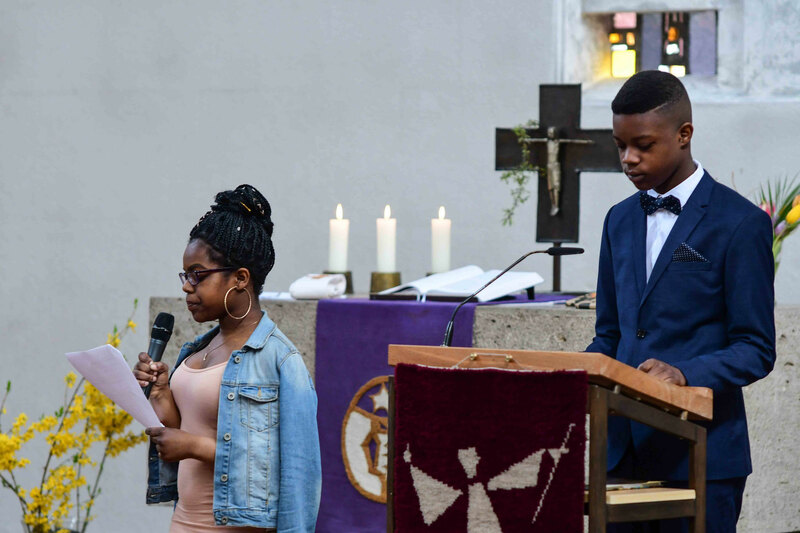 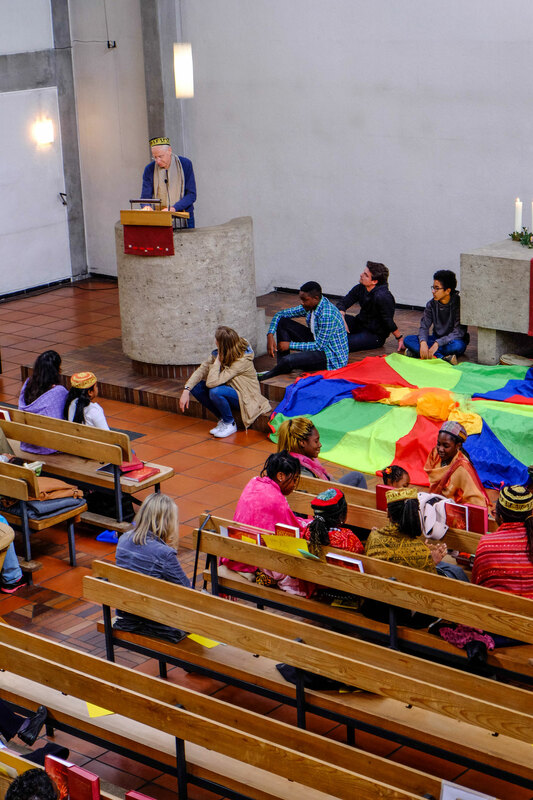 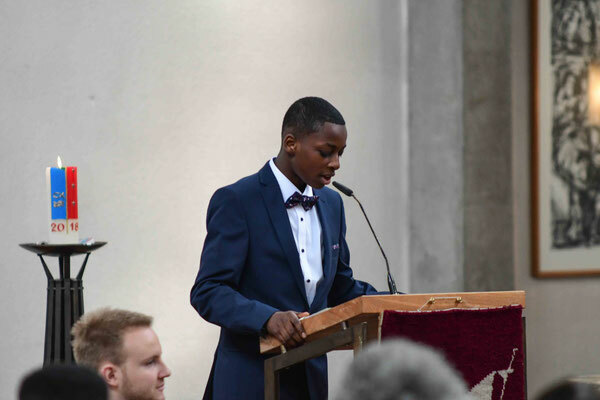 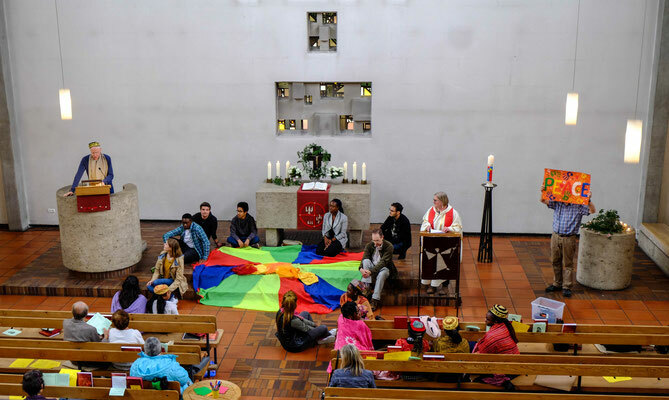 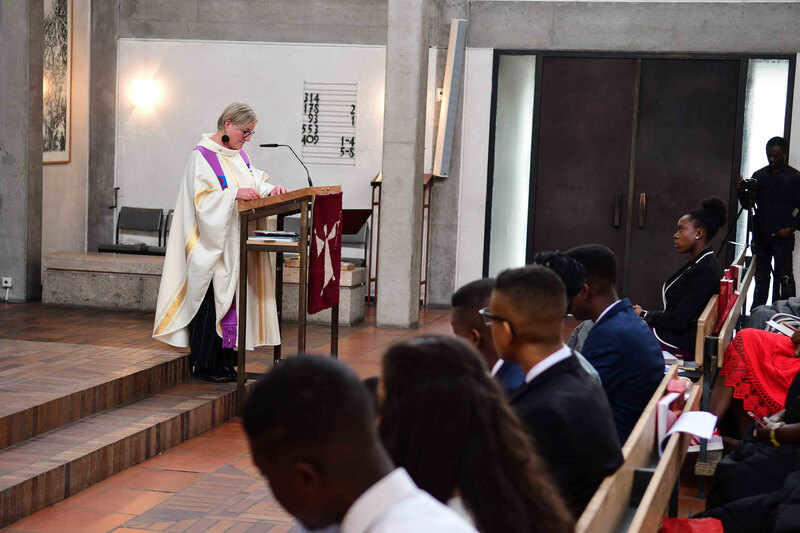 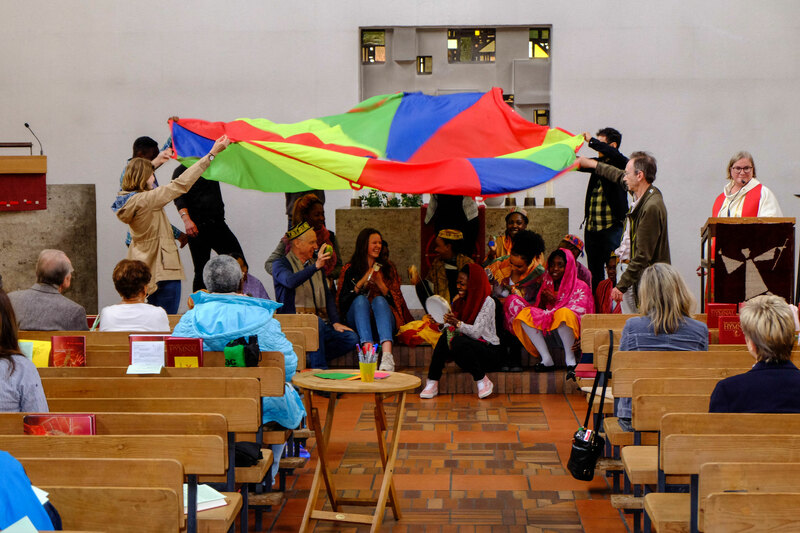 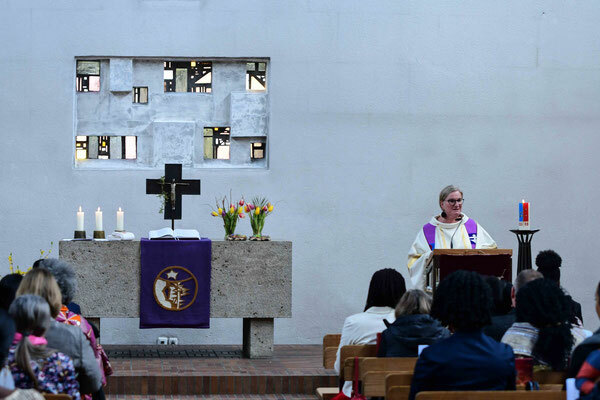 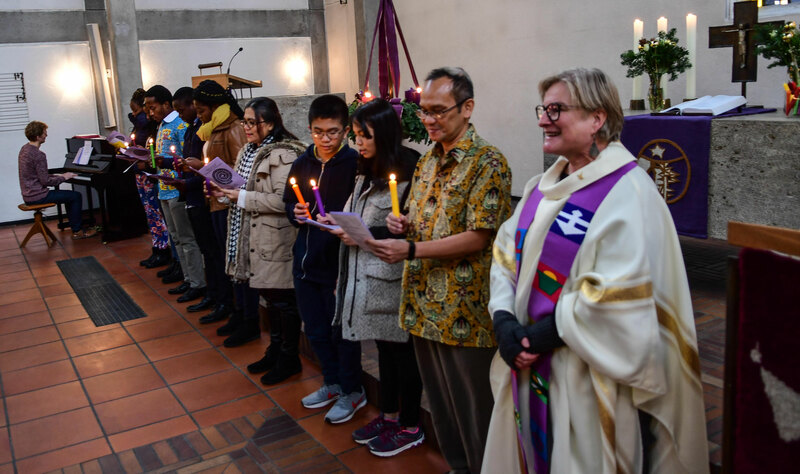 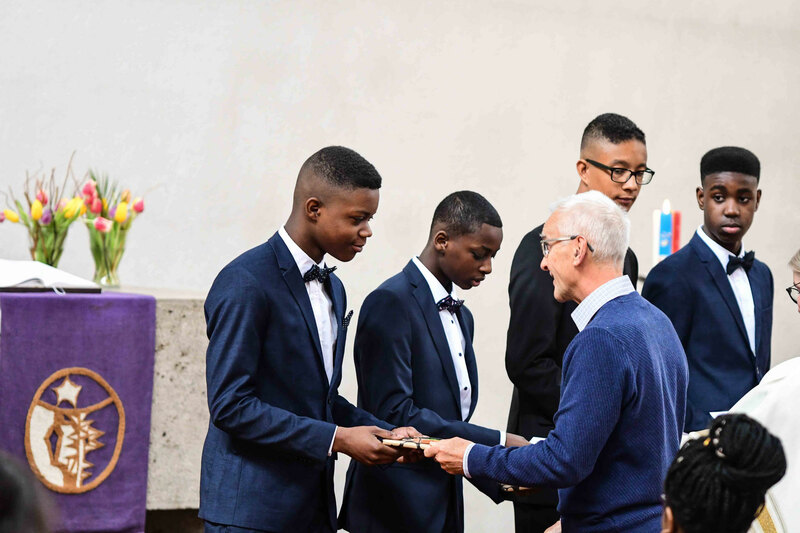 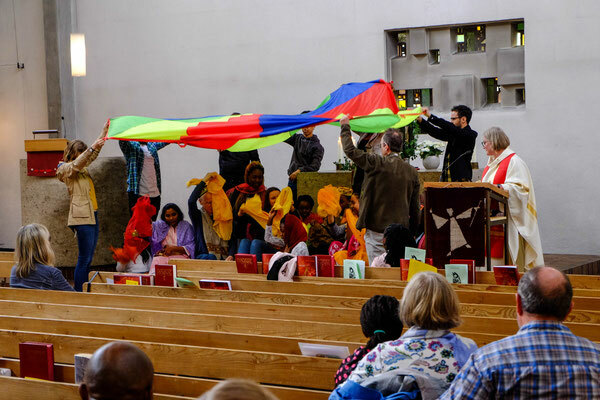 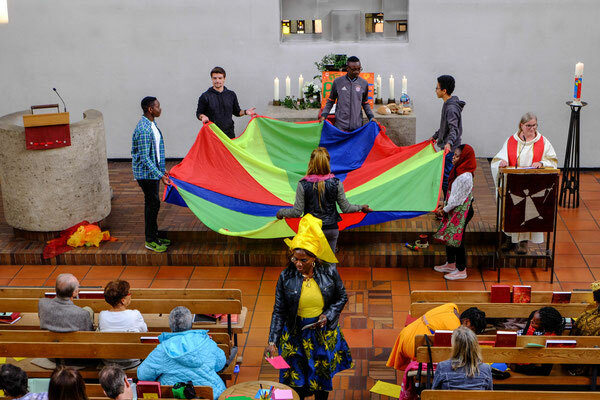 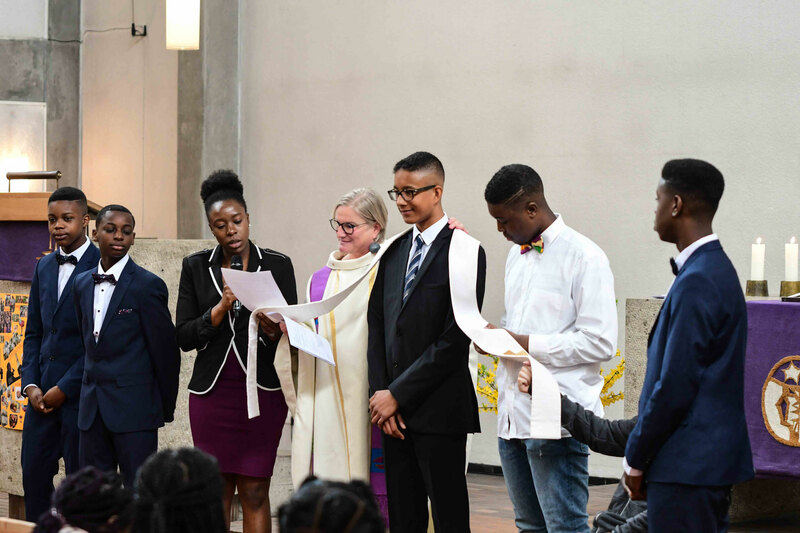 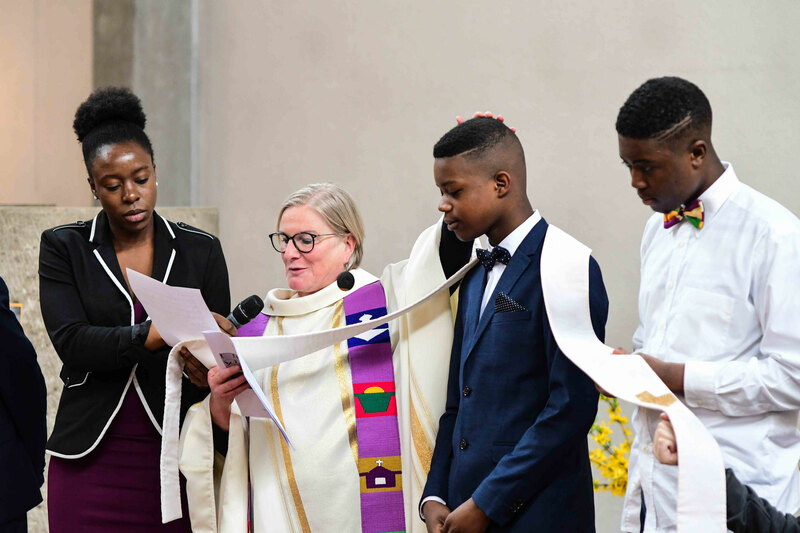 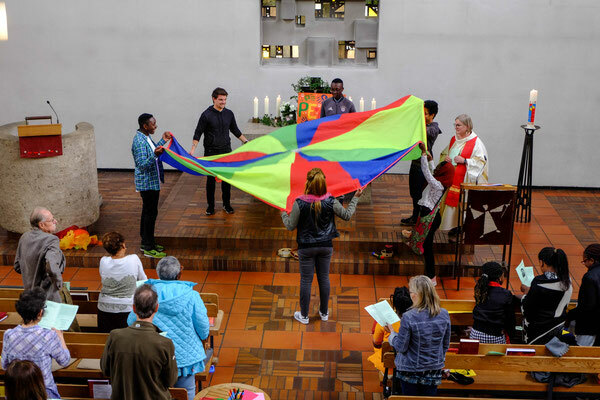 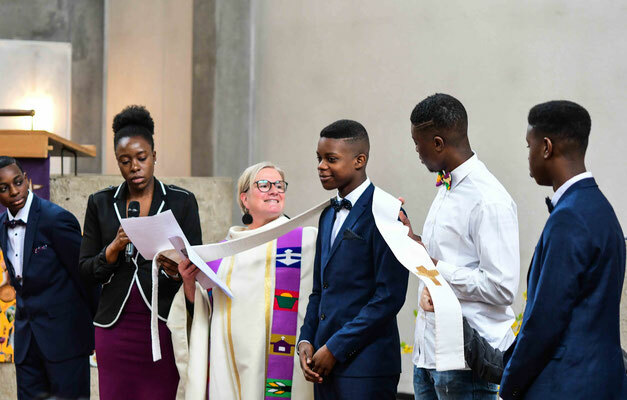 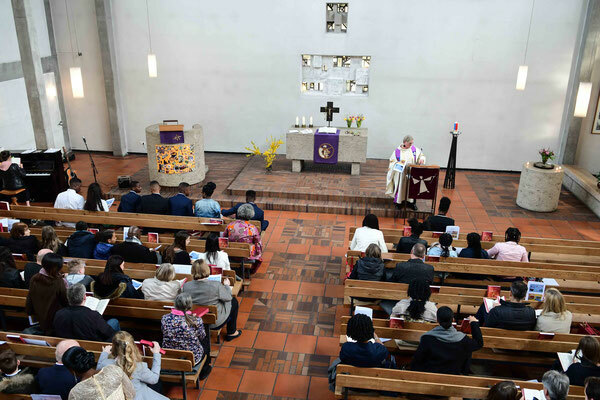 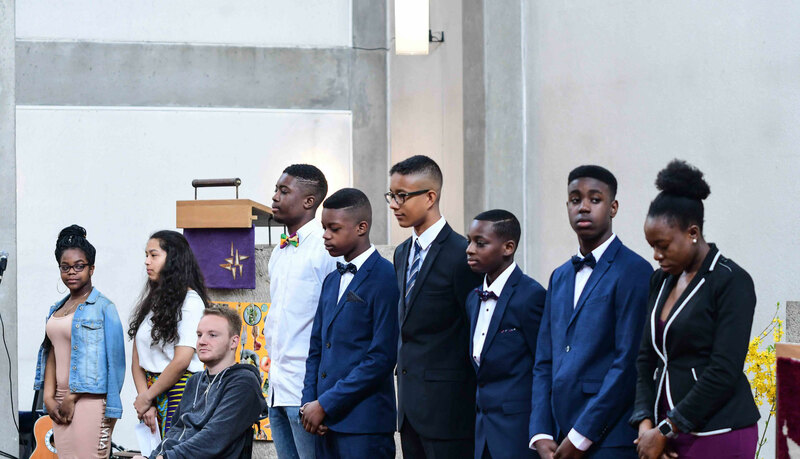 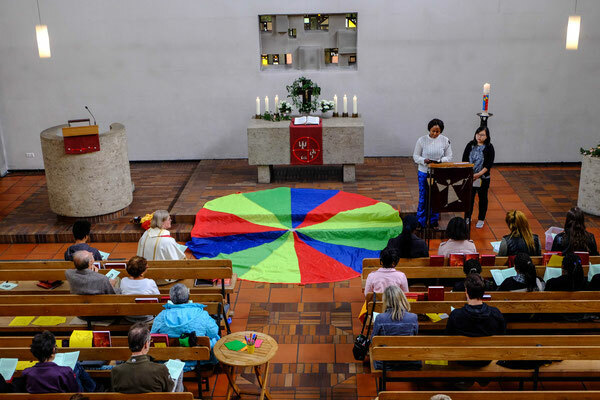 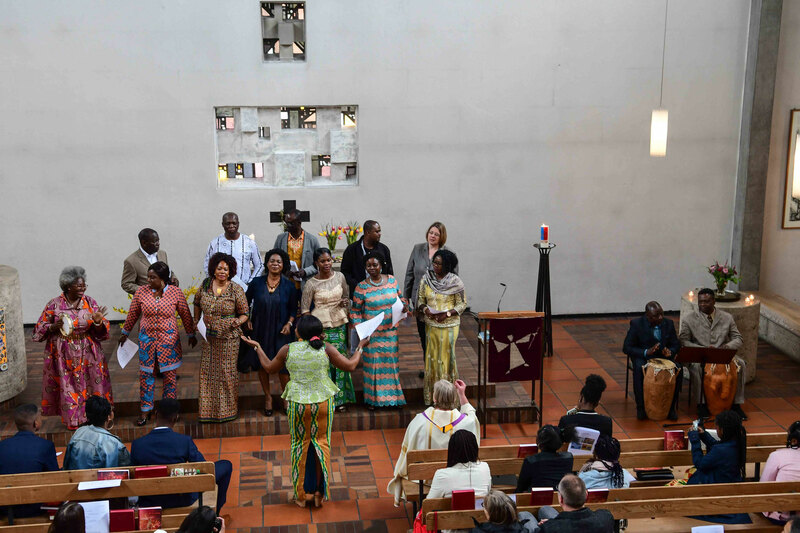 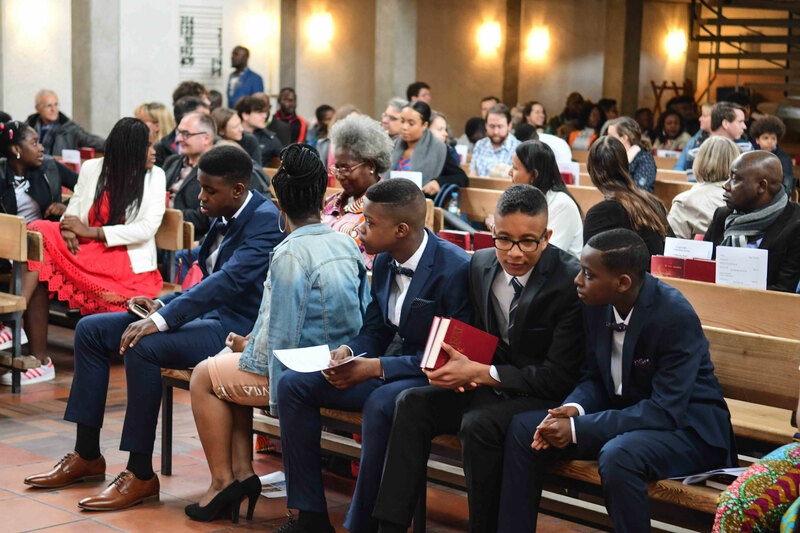 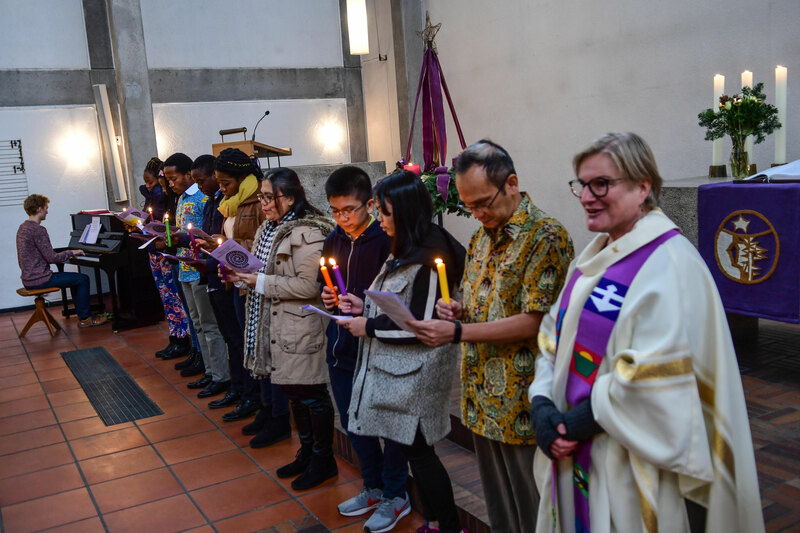 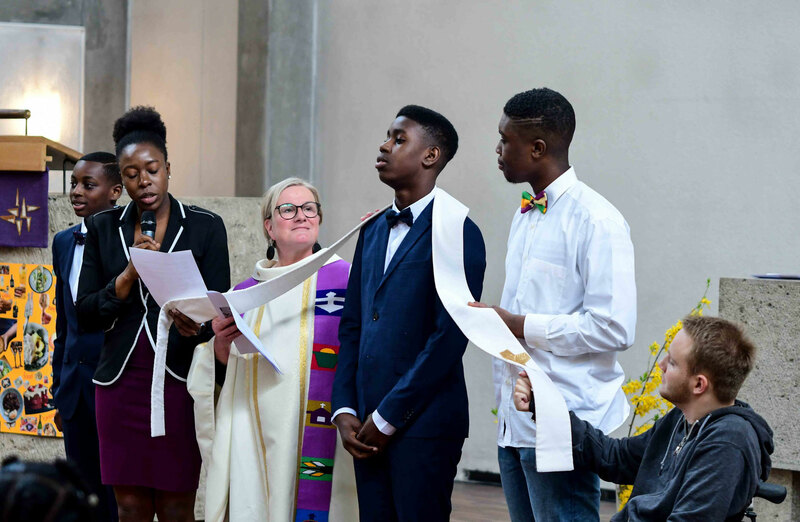 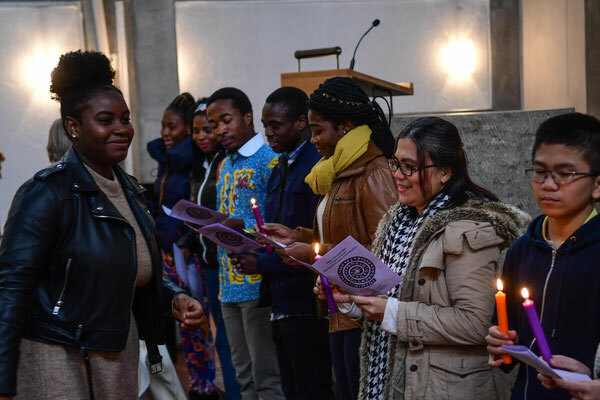 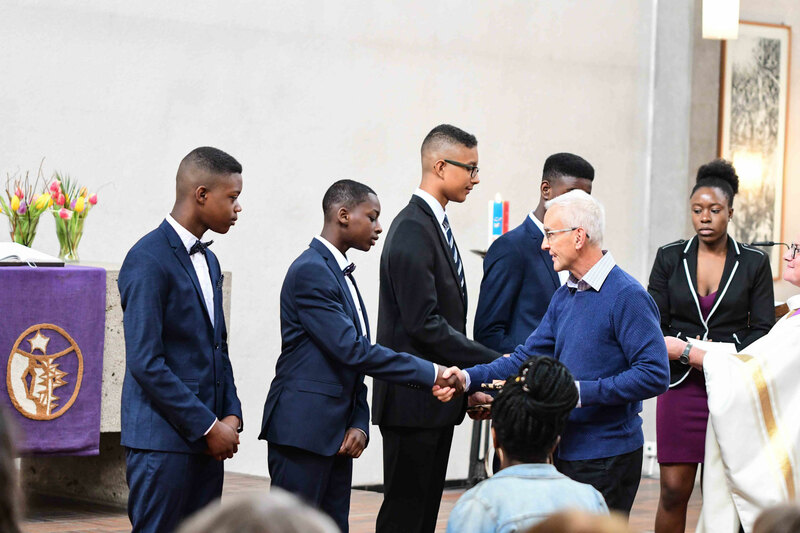 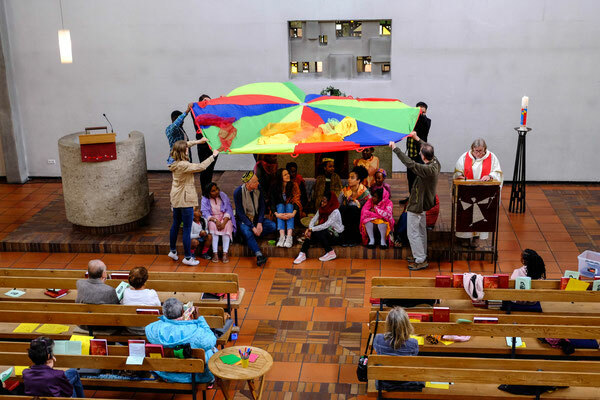 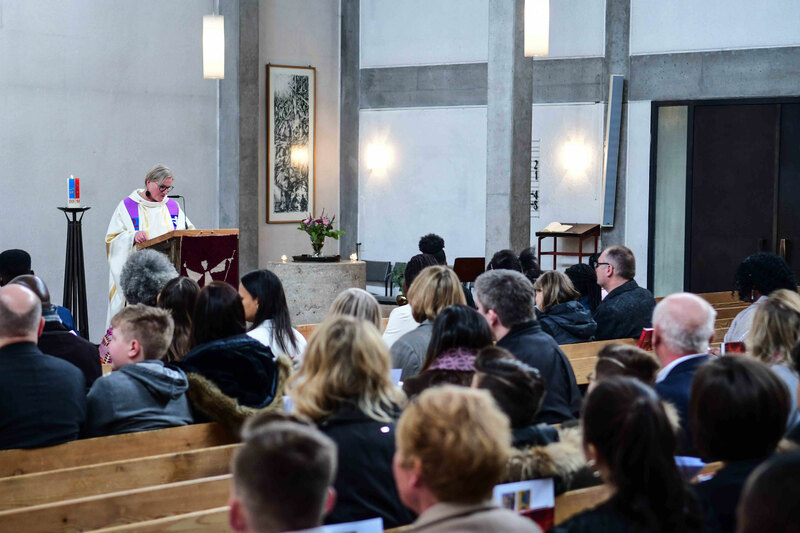 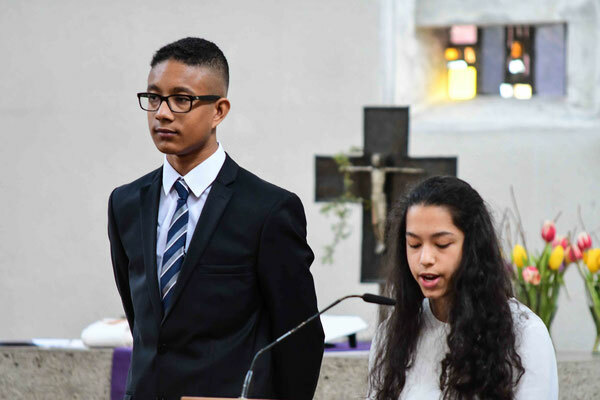 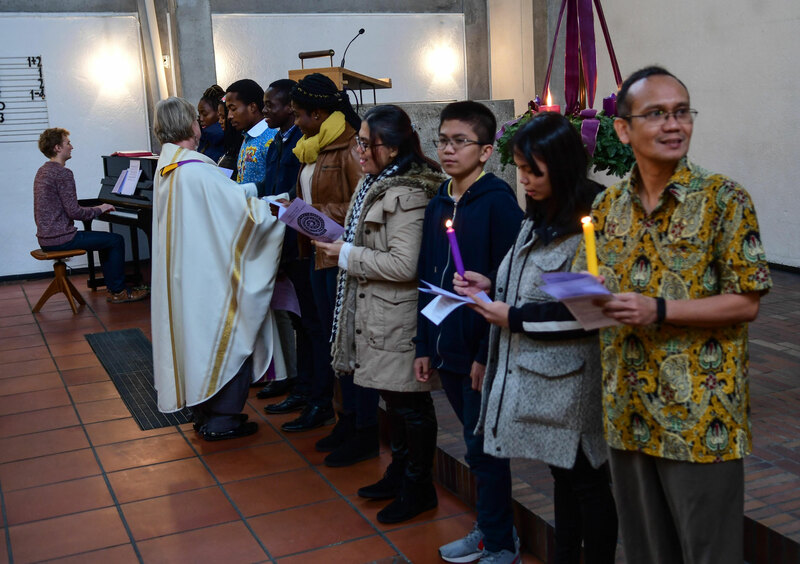 The annual meeting of the Council on ministries with the Superintendent is scheduled for Sunday 28 April 2019 at 2pm at Philippuskirche. 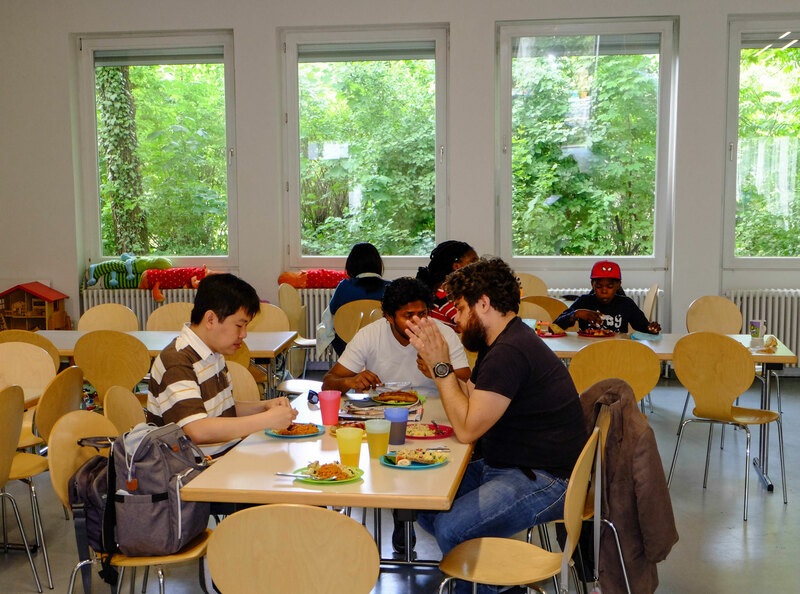 The confirmation group will be away near the Chiemsee from 10 to 12 May. 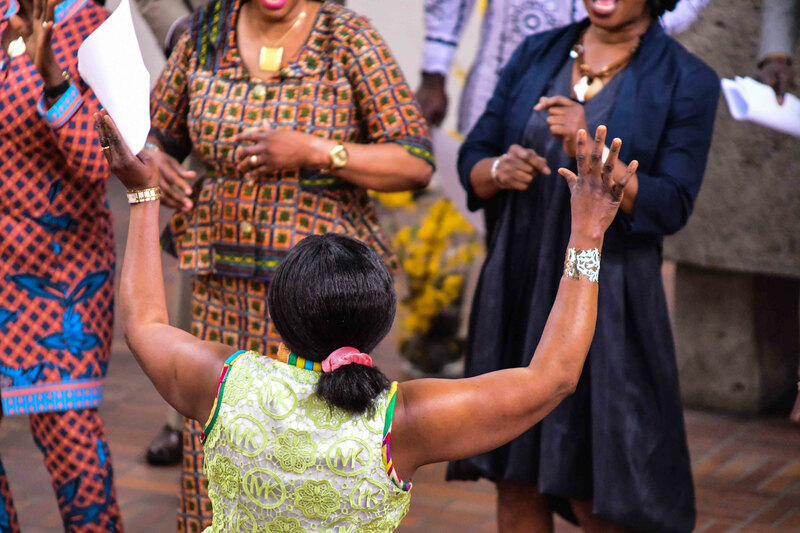 Whether you are here for a few months, a few years or "forever", you can become an official member of Peace Church. 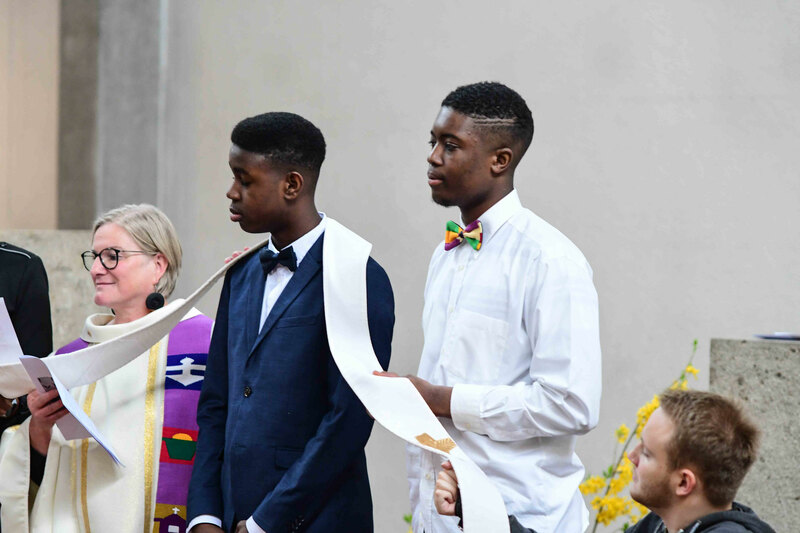 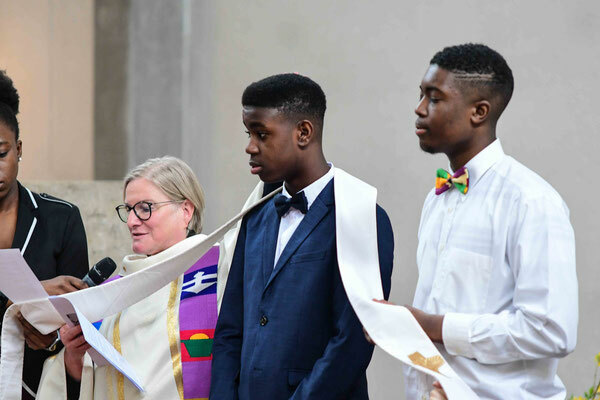 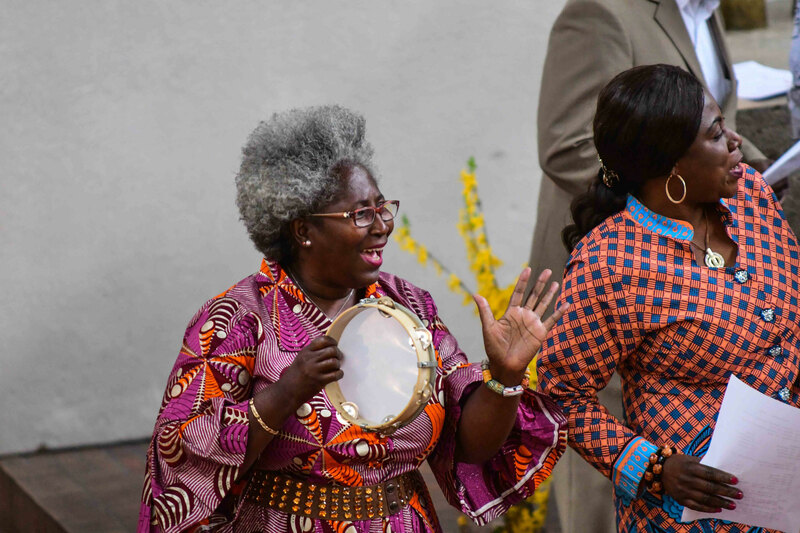 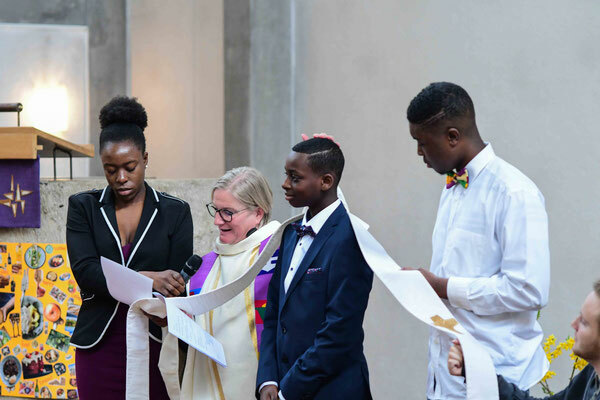 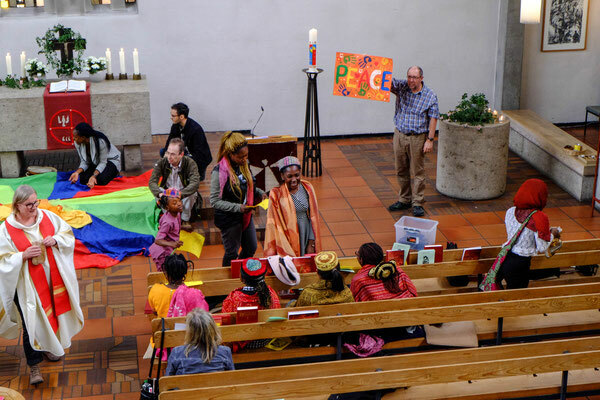 Members are asked to support Peace Church with their “prayers, presence, gifts and service". Contact the Pastor for more details. 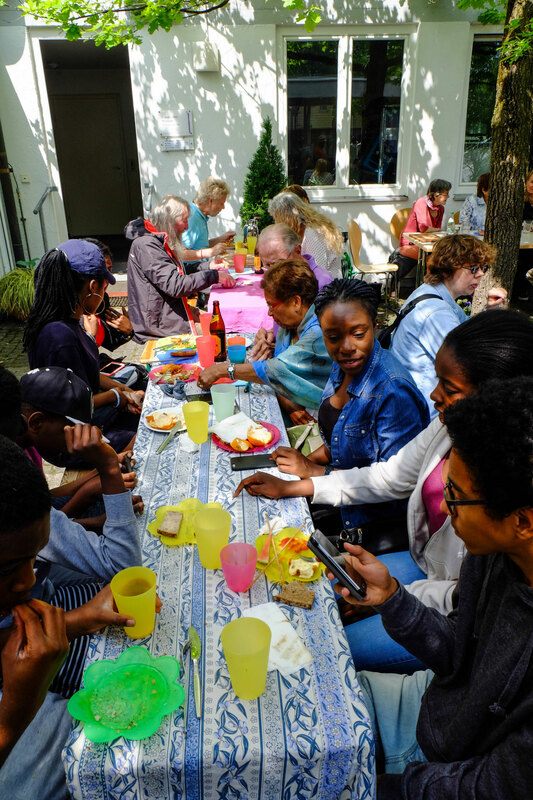 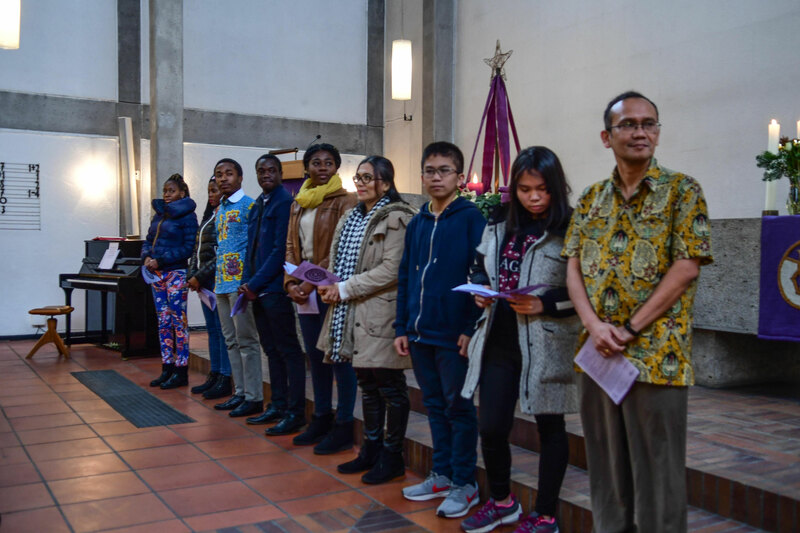 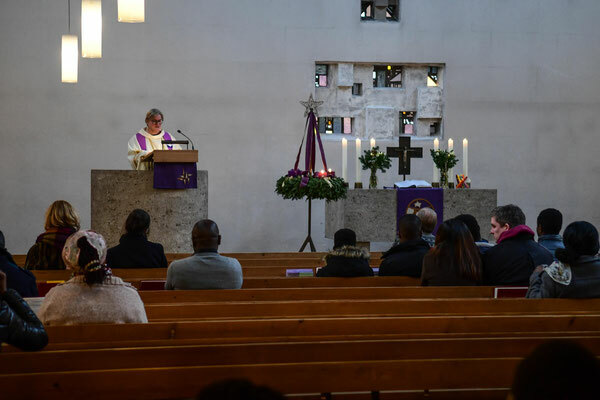 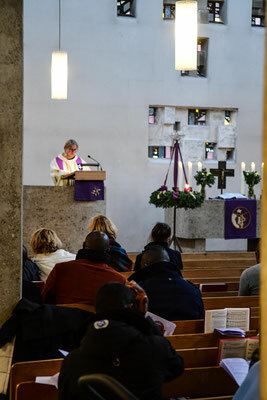 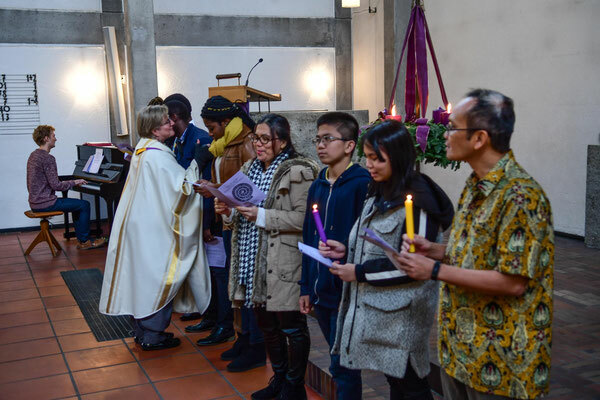 Account holder: Evang.-methodistische Kirche Peace Church. 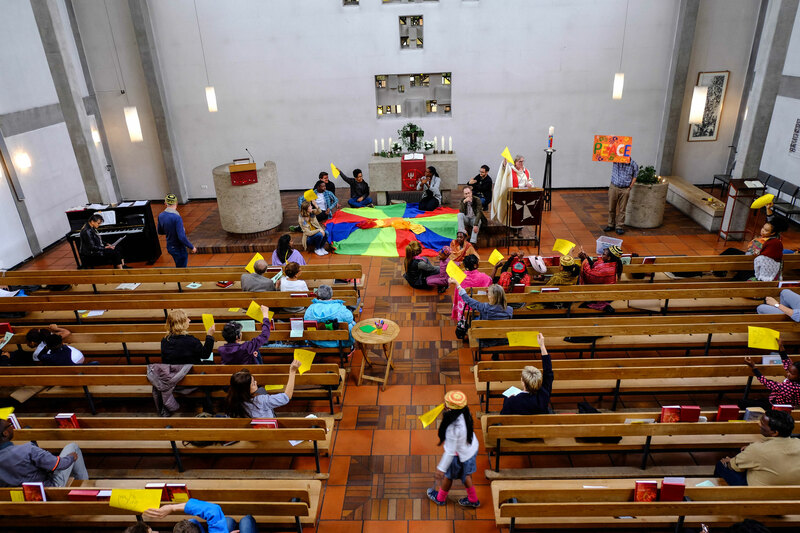 7 October All age service "Kids Help Kids in Brazil"